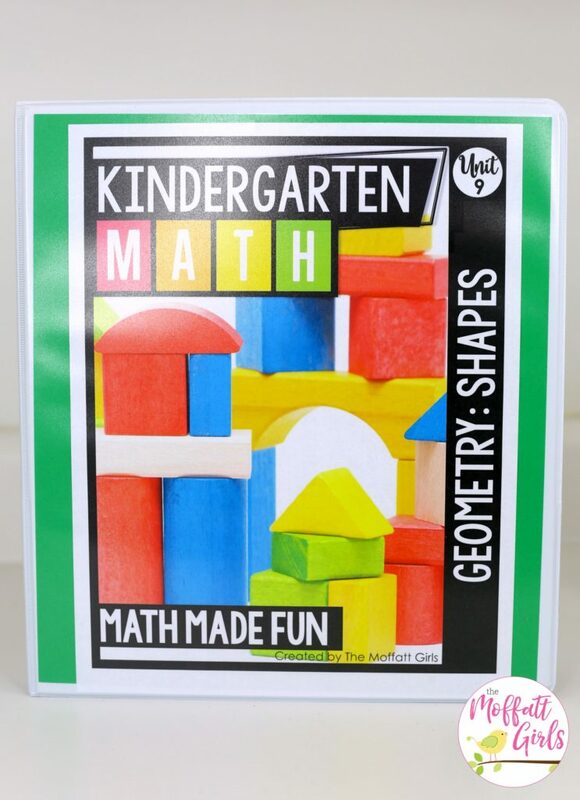 Kindergarten Math Made Fun Unit 9 is here, and it’s all about SHAPES! 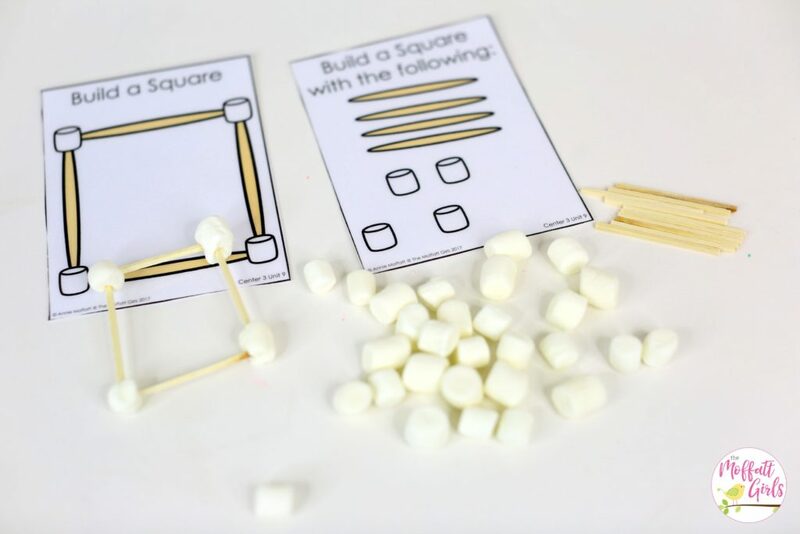 This hands-on, engaging and FUN unit will get kids excited about basic shapes! 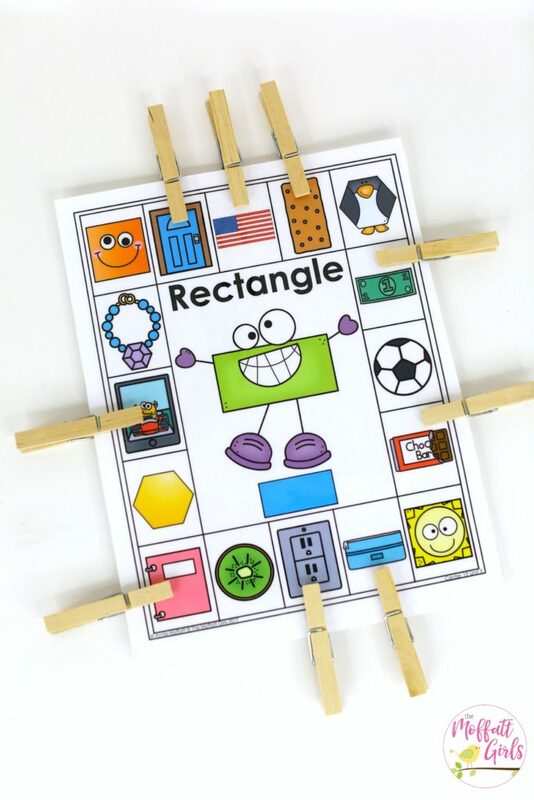 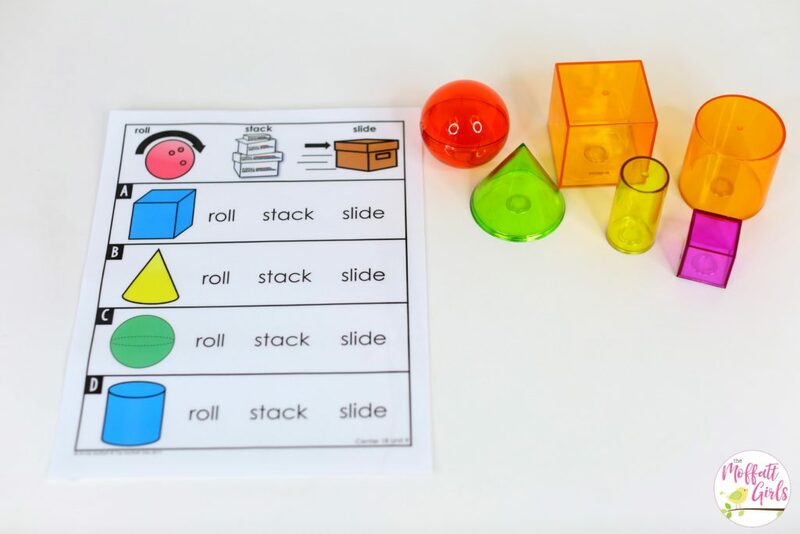 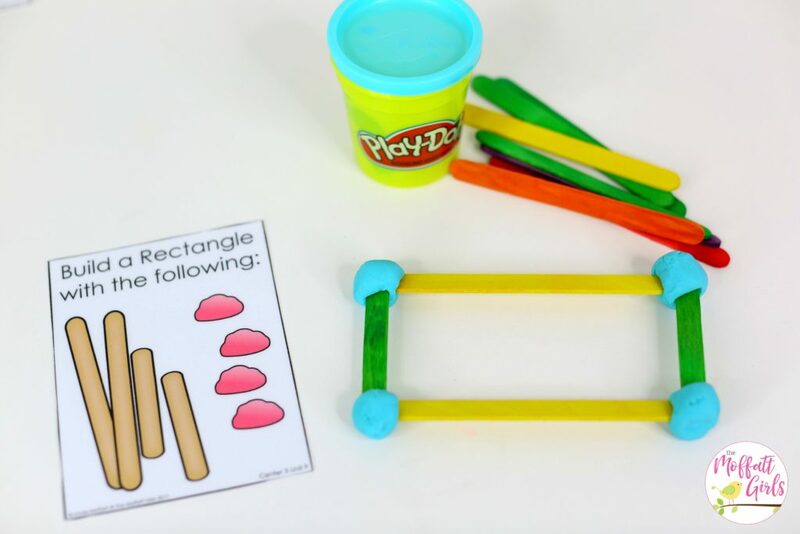 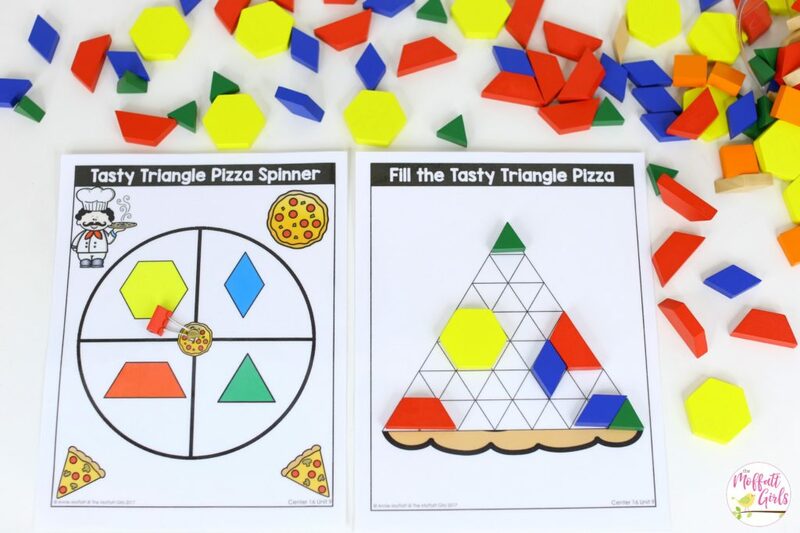 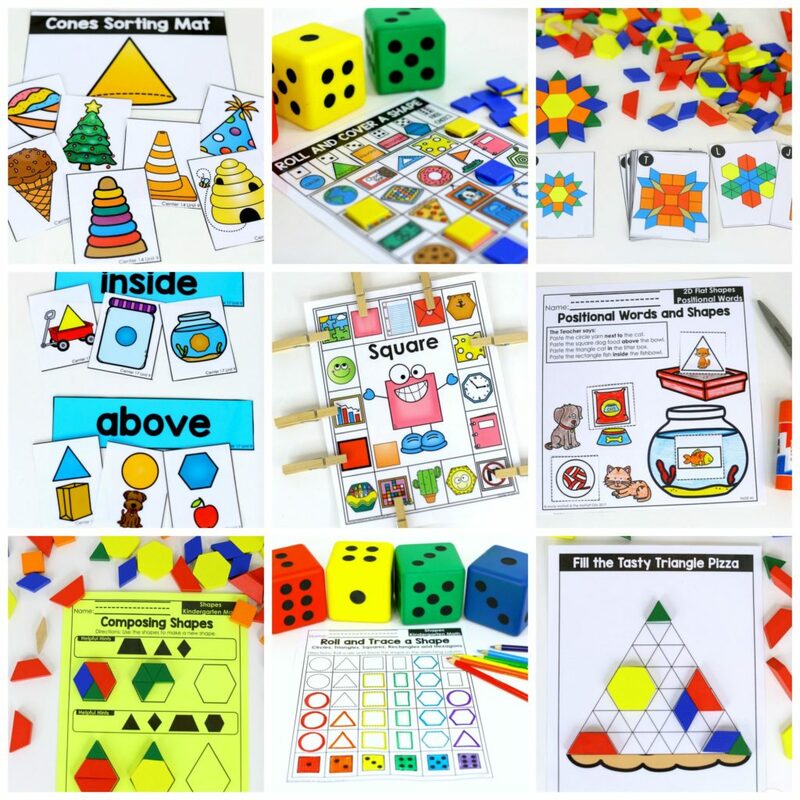 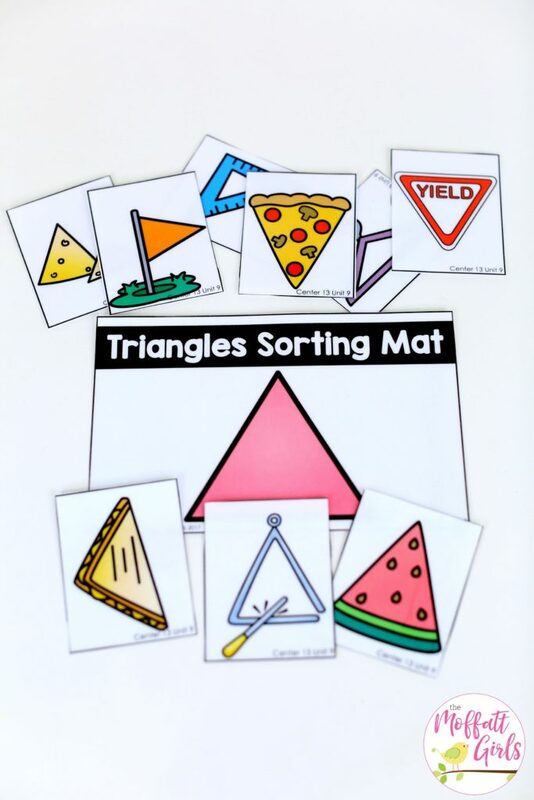 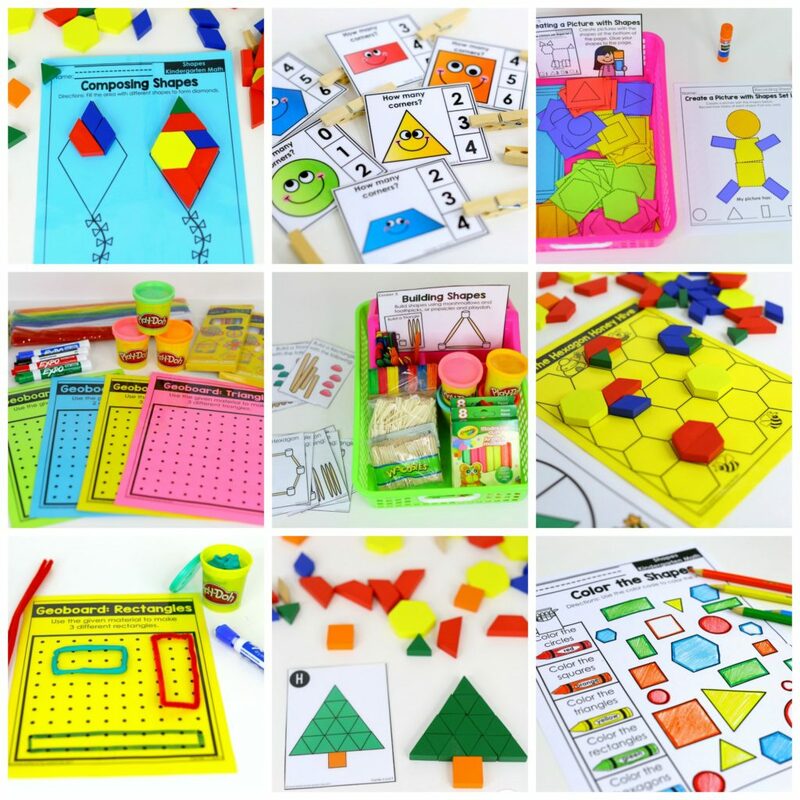 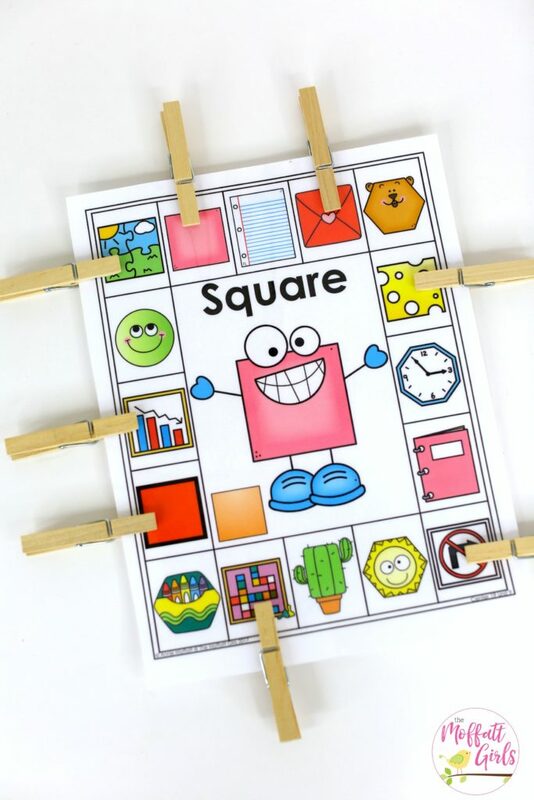 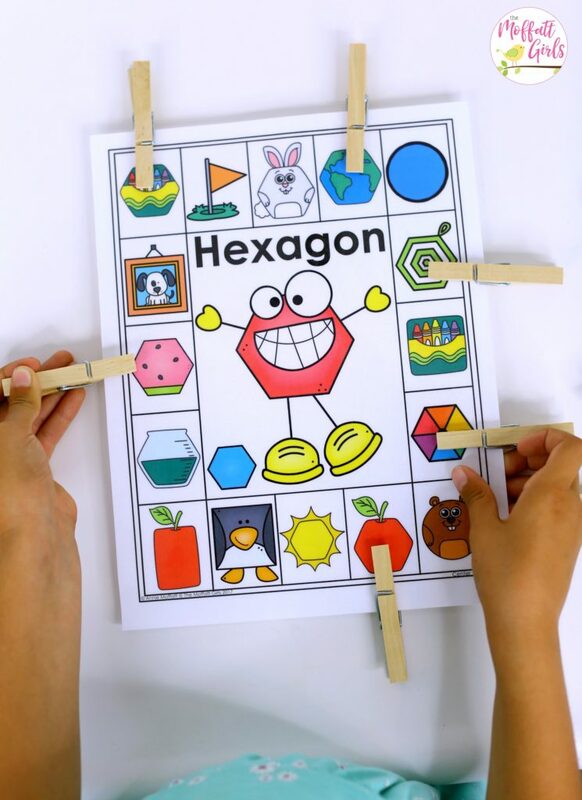 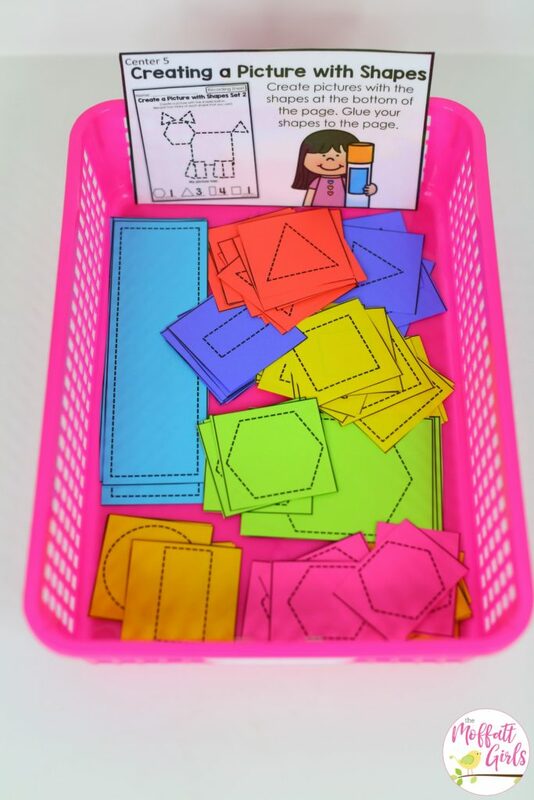 Not only will they become familiar with shapes and the names of shapes, but students will become MASTERS of these shapes as they learn to manipulate and construct them in multiple ways! 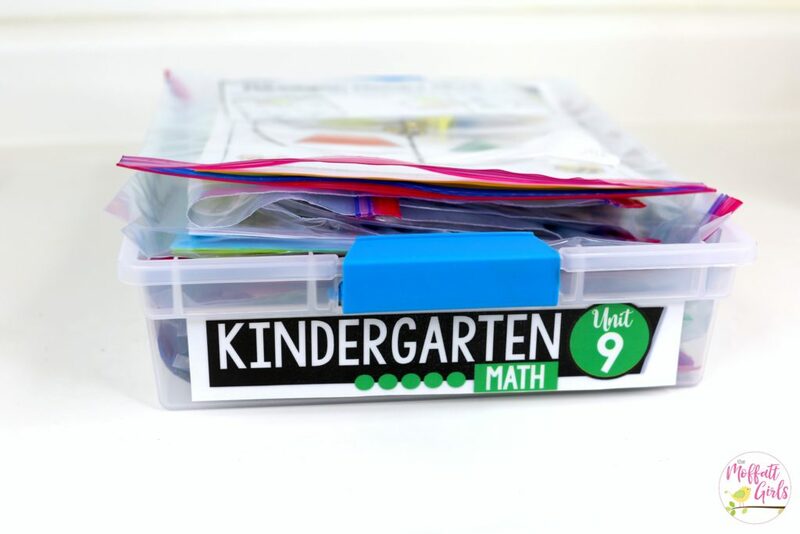 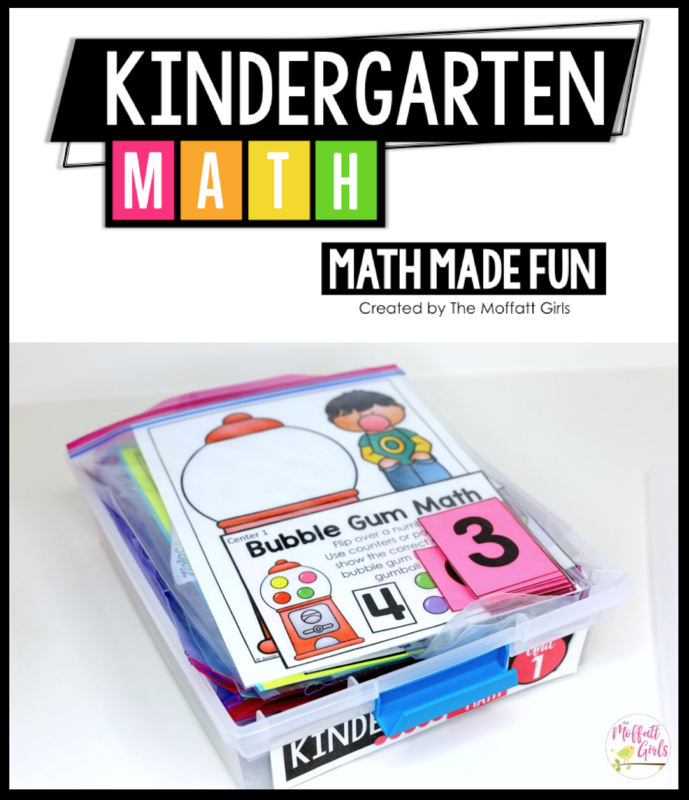 Therefore, I am happy to share this hands-on math Unit 9 of the Kindergarten Math Made Fun Curriculum with you! 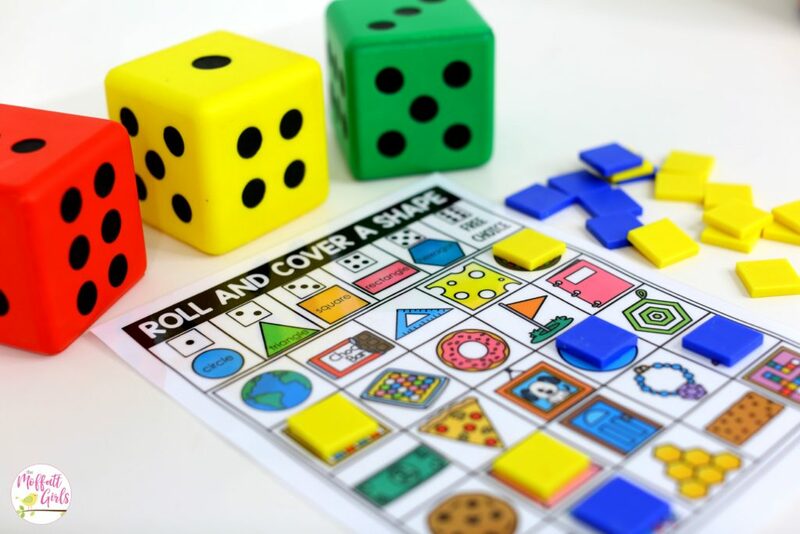 To start, roll a die. 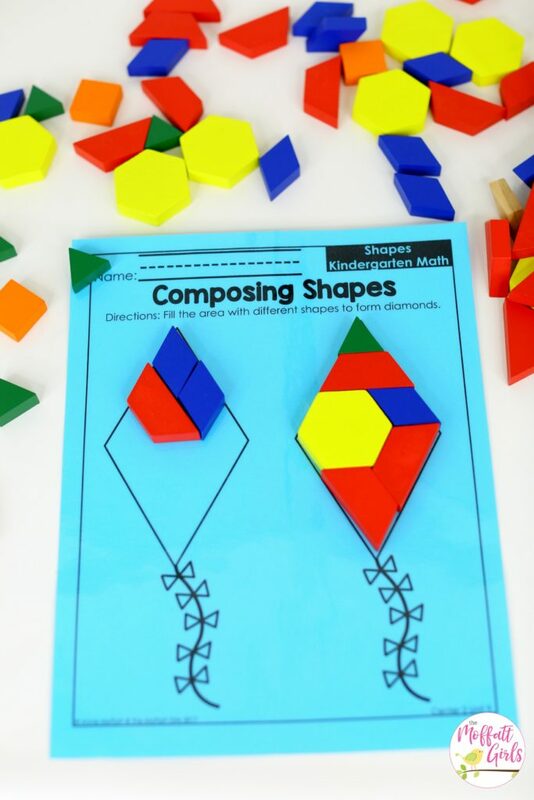 Then say the name of the shape, and cover a shape that matches. 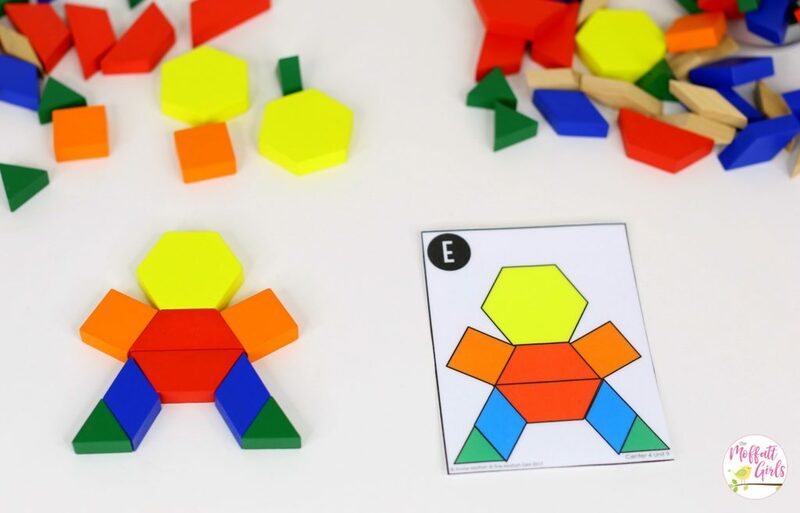 Students can play with a partner or by themselves. 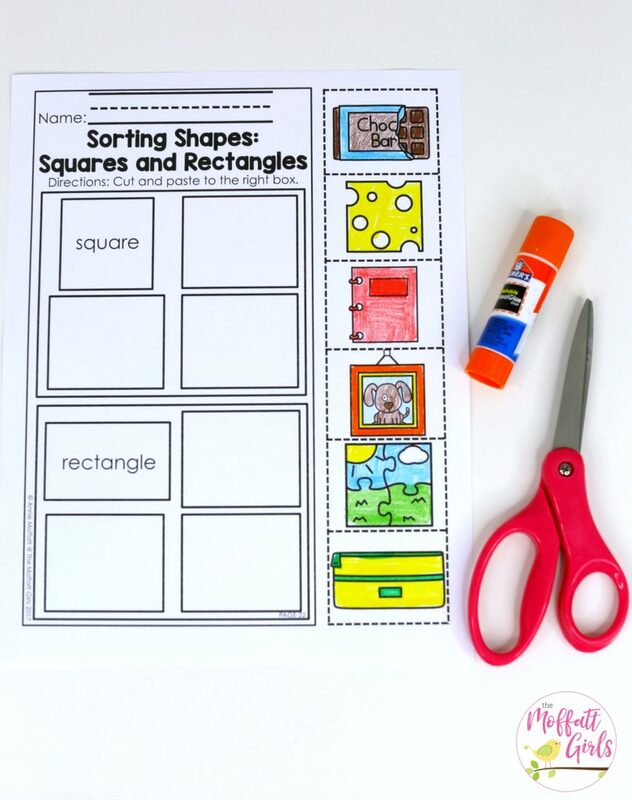 Use pattern blocks to make new shapes for each page. 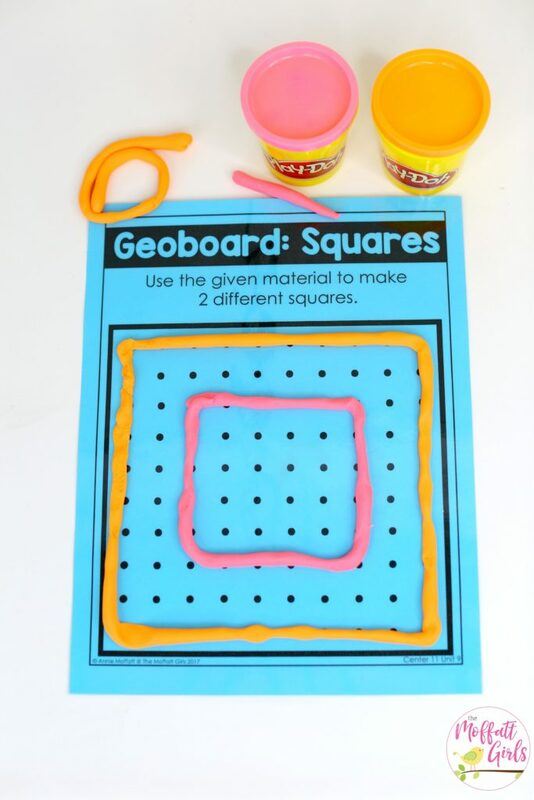 Use different materials (woodsies, play dough, popsicle sticks, clay, etc.) 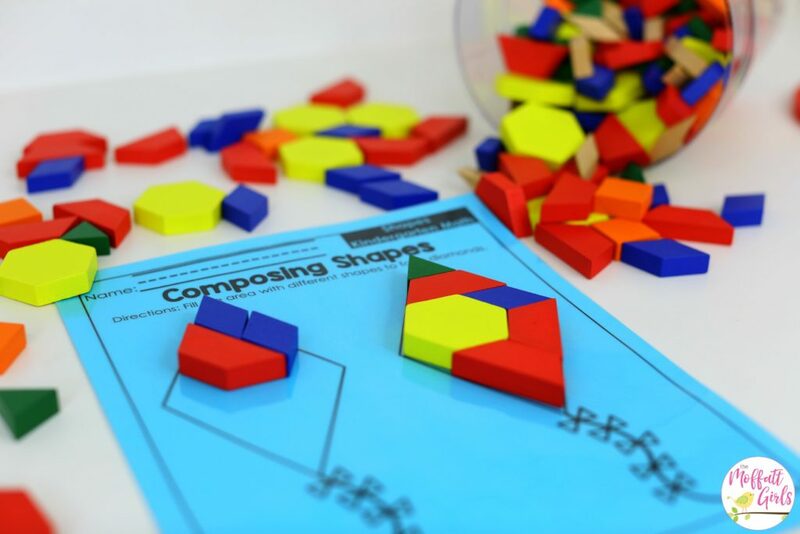 to build shapes such as squares, rectangles, hexagons and triangles. 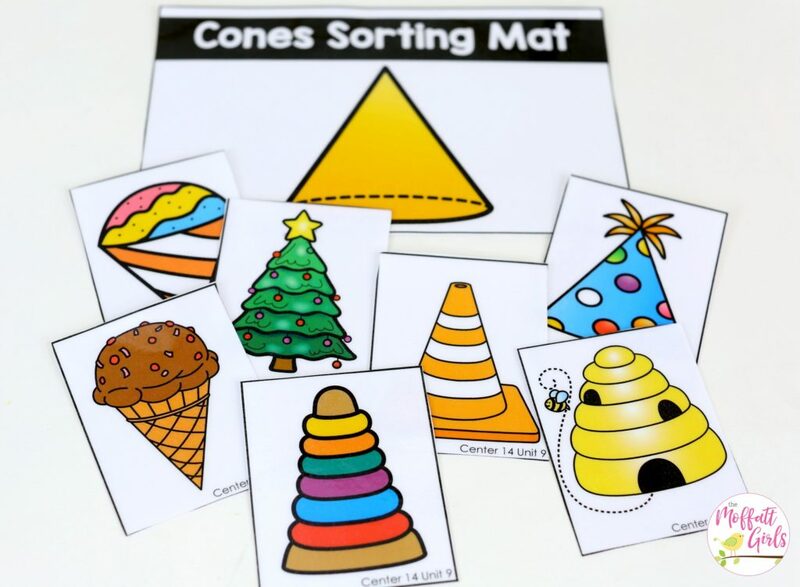 Choose a picture card. 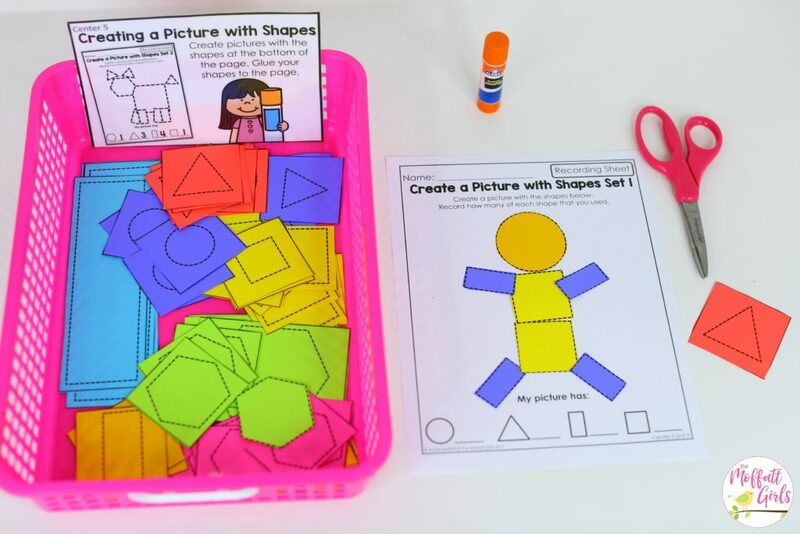 Use pattern blocks to build the picture. 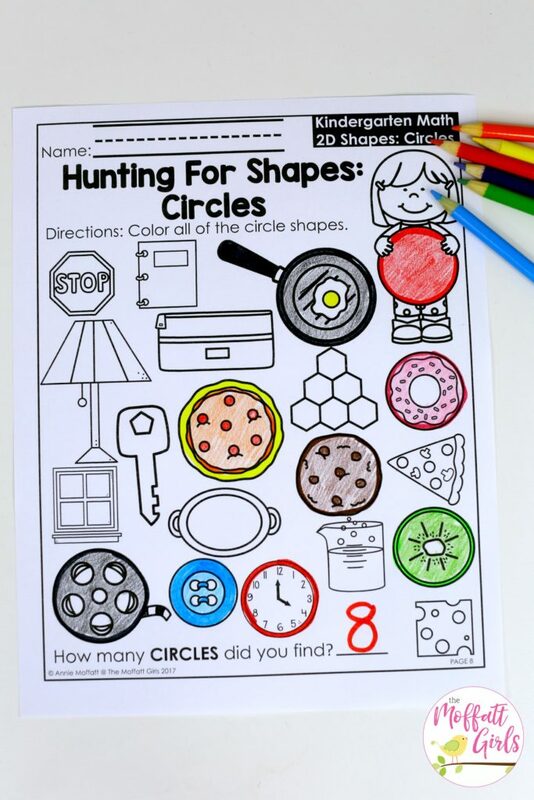 Record the number of each shape you used for your picture. 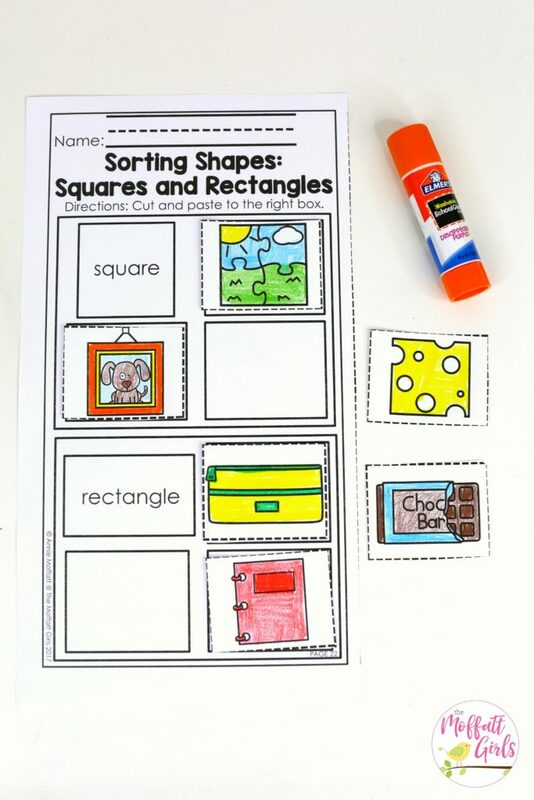 First create pictures with shapes at the bottom of the page. 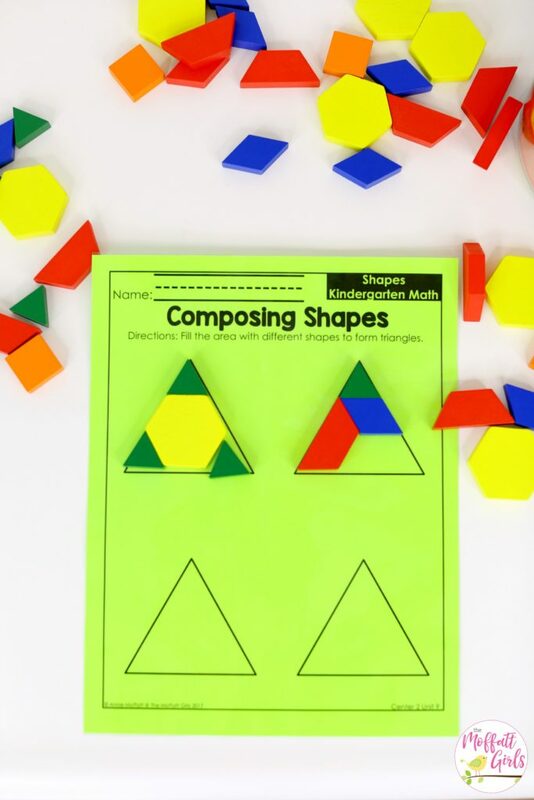 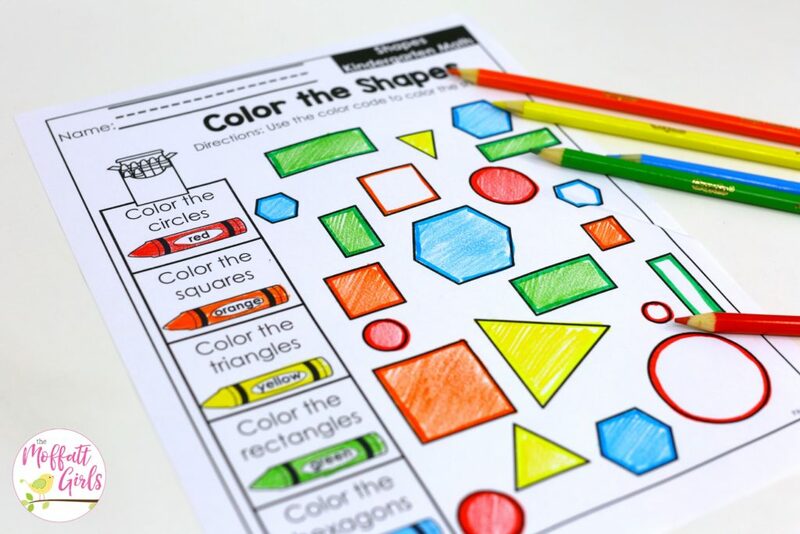 Then glue your shapes to the page and write how many of each shape you used. 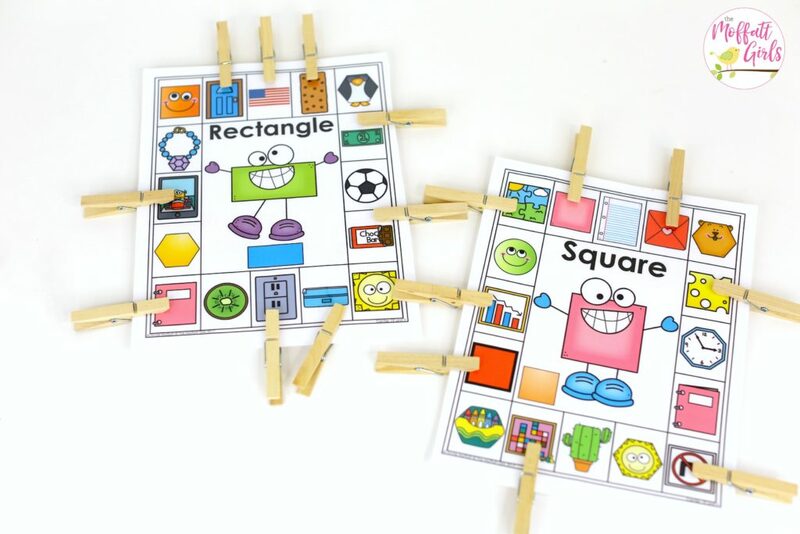 Build 4 different Square Puzzles with the different colored puzzle pieces. 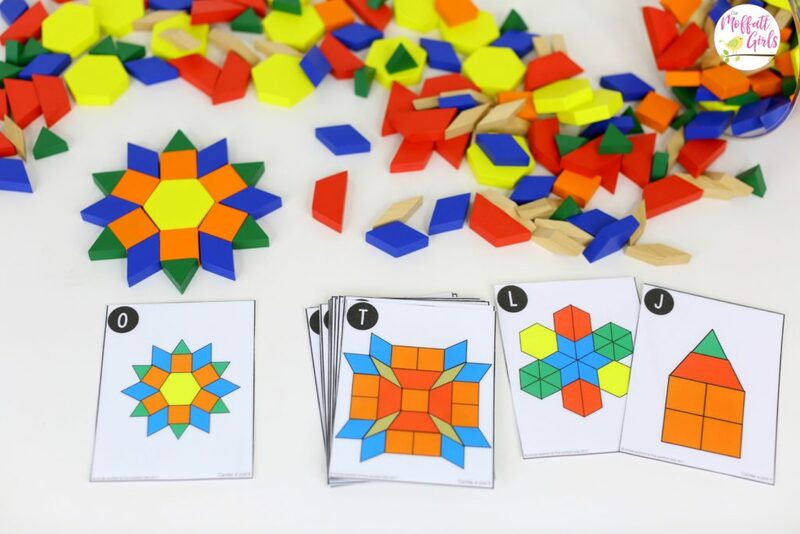 NOTE: There are 4 different puzzles for each shape. 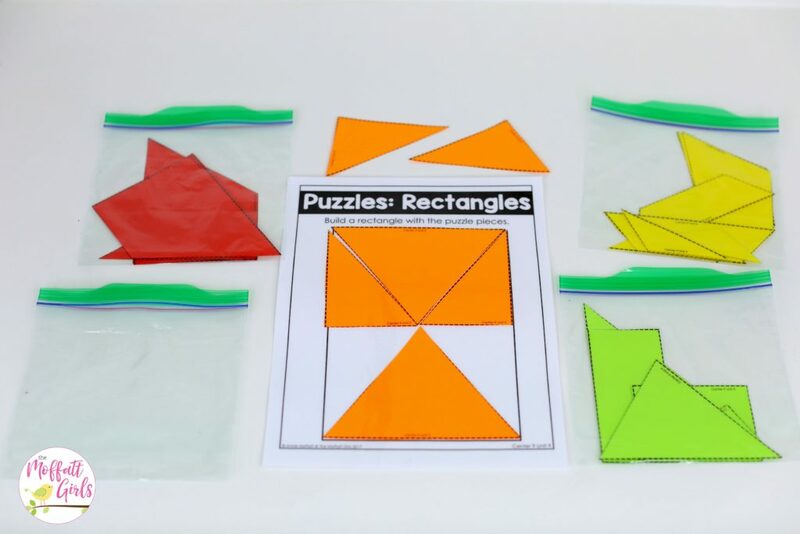 I printed the puzzles on colored paper and laminated them. 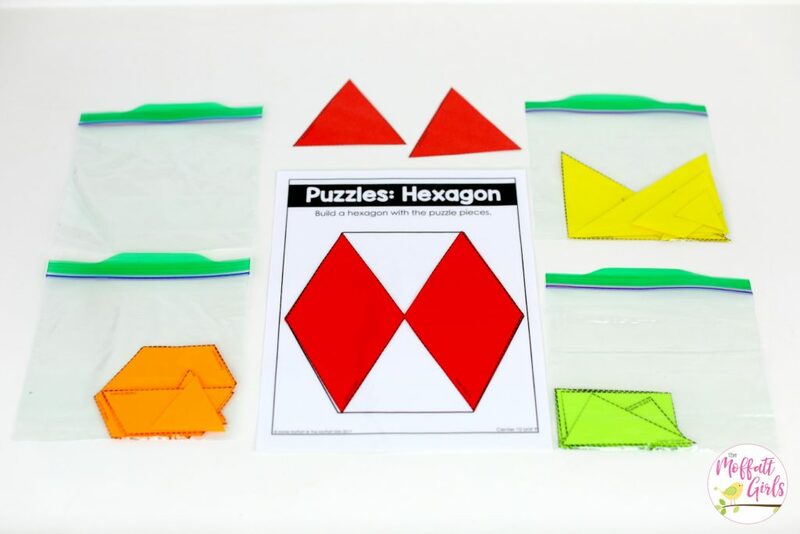 The RED puzzles are EASY, the ORANGE puzzles are MEDIUM in difficulty, the YELLOW puzzles are CHALLENGING and the GREEN puzzles are EXTRA CHALLENGING. 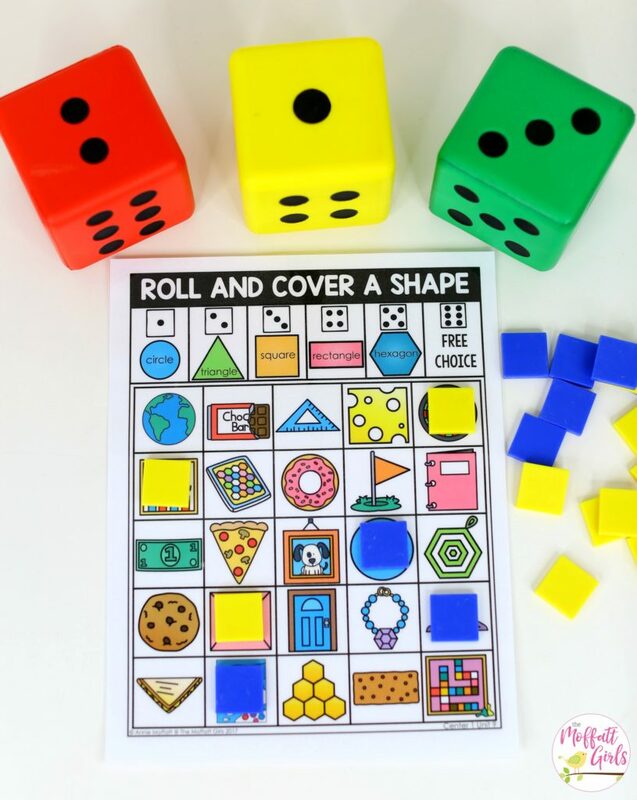 To start, introduce the easy puzzles first. 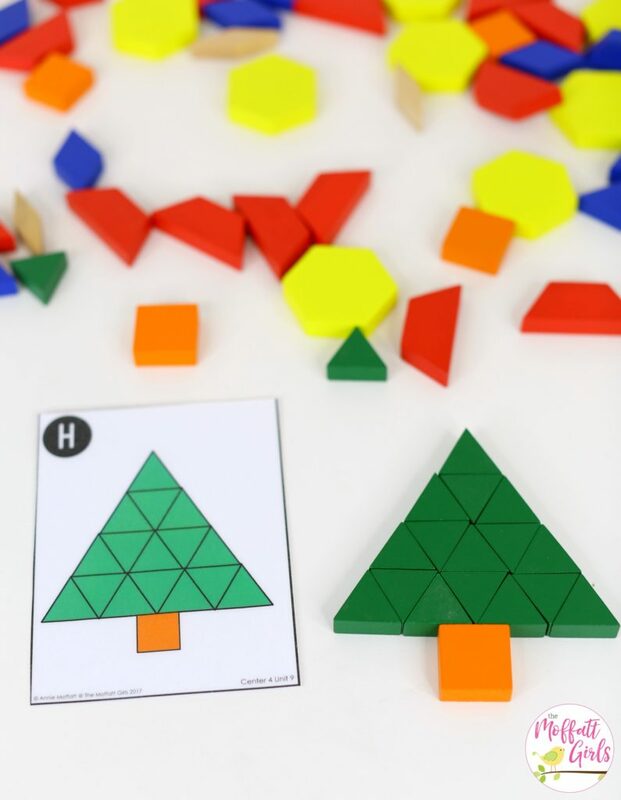 Then, once students have started to build better problem-solving skills, they can progress to the more challenging puzzles. 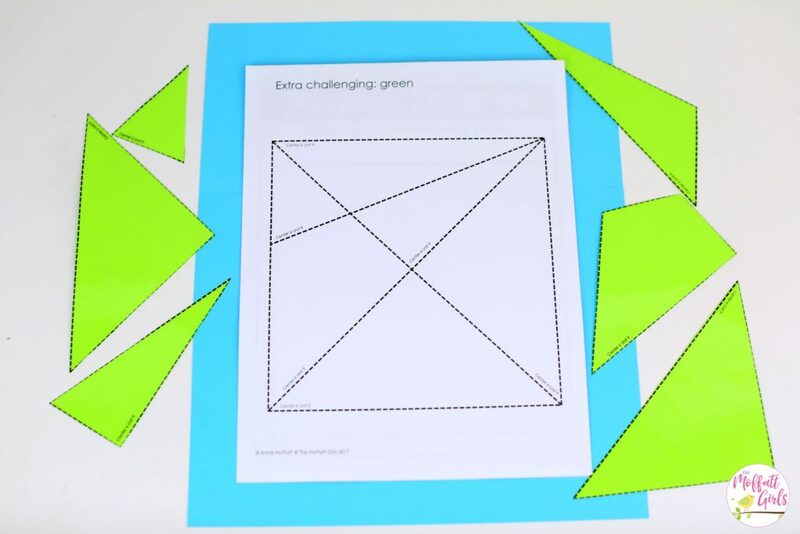 NOTE: For students who may lack spatial awareness, you can print the pages with the dotted lines (the puzzle piece pages) instead of the blank shape. 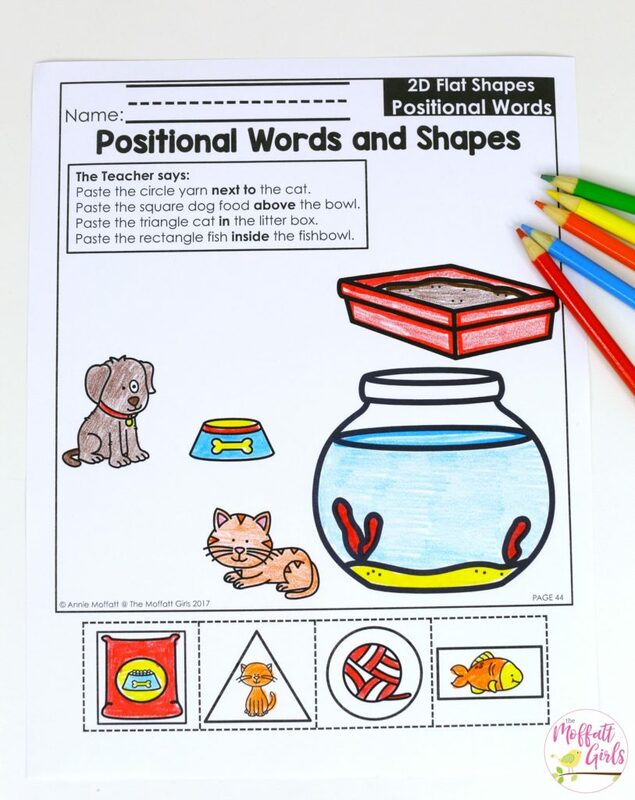 Students can assemble right onto this page and use the dotted lines as a guide. 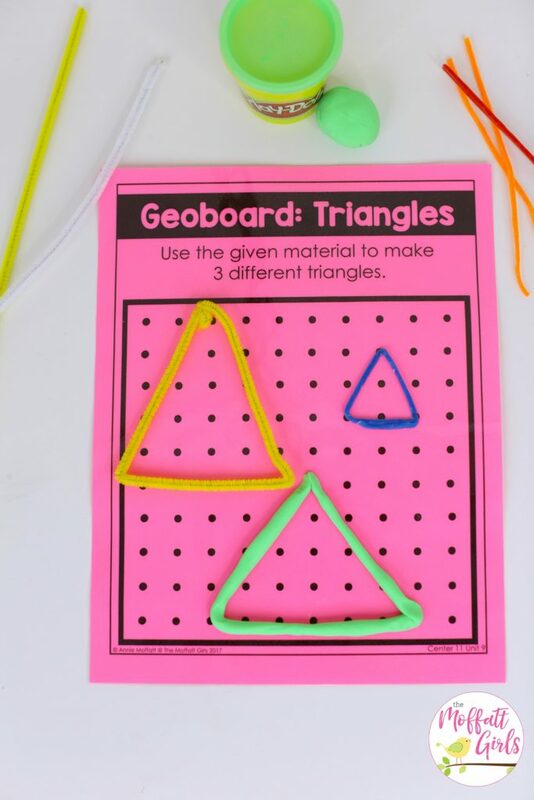 **SEE TRIANGLE and SQUARE below for example! 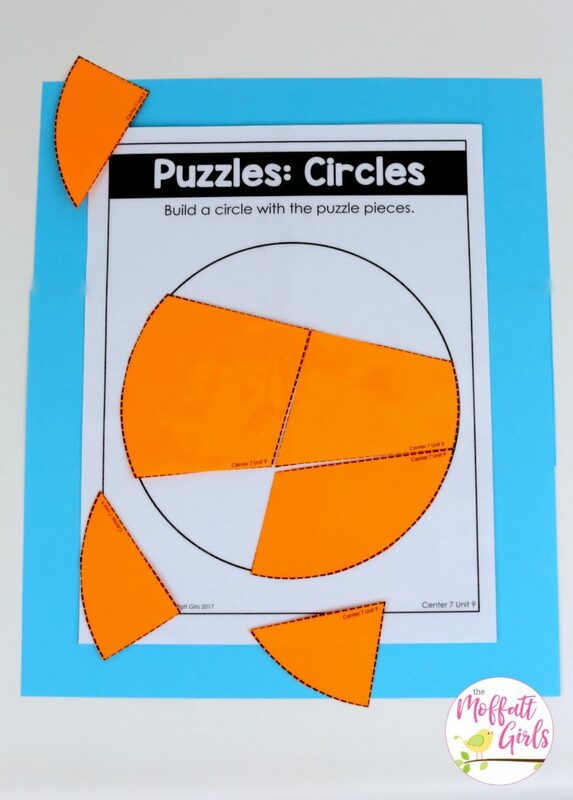 Build 4 different Circle Puzzles with the different colored puzzle pieces. 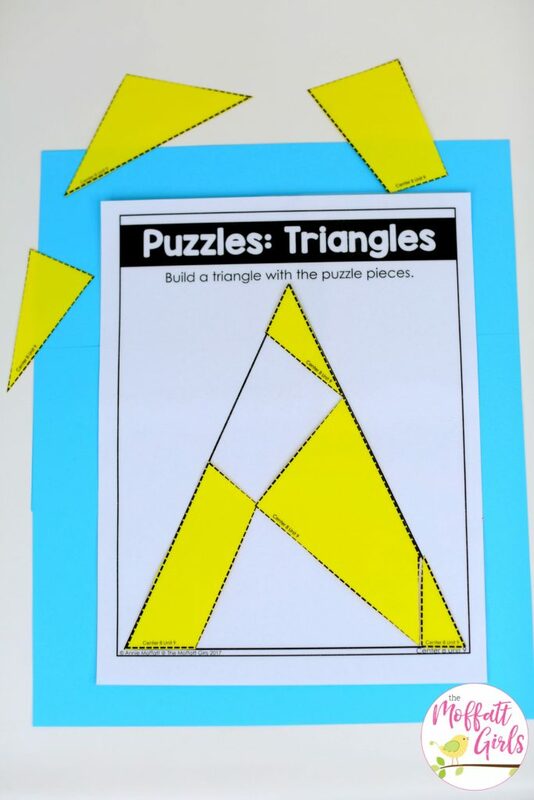 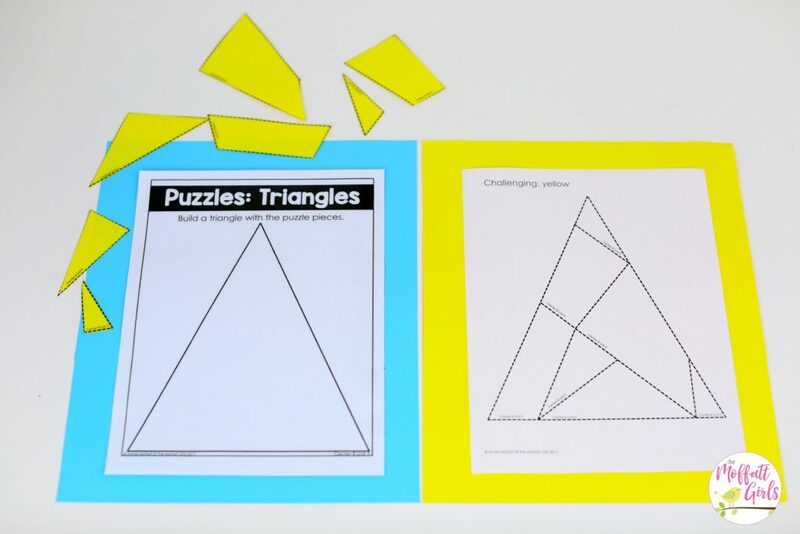 Build 4 different Triangle Puzzles with the different colored puzzle pieces. 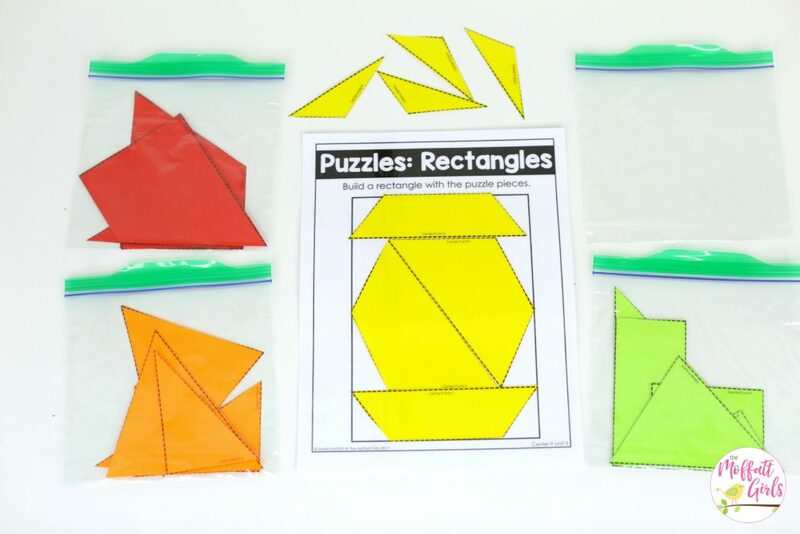 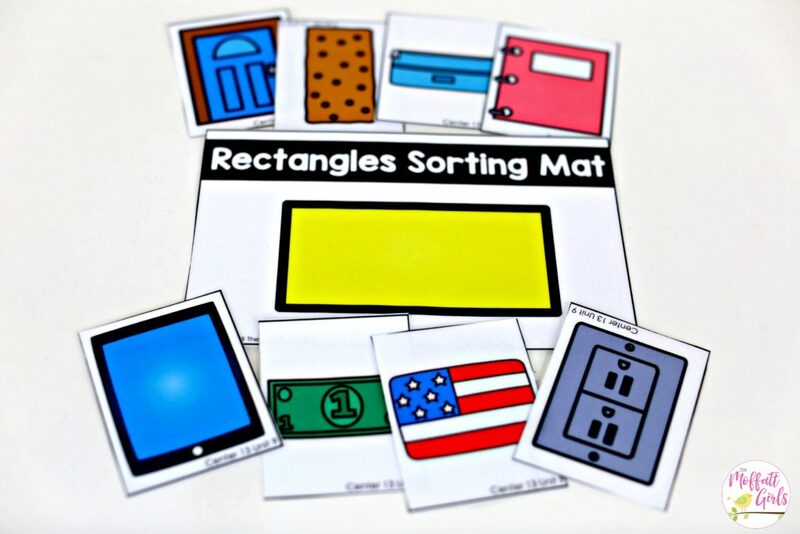 Build 4 different Rectangle Puzzles with the different colored puzzle pieces. 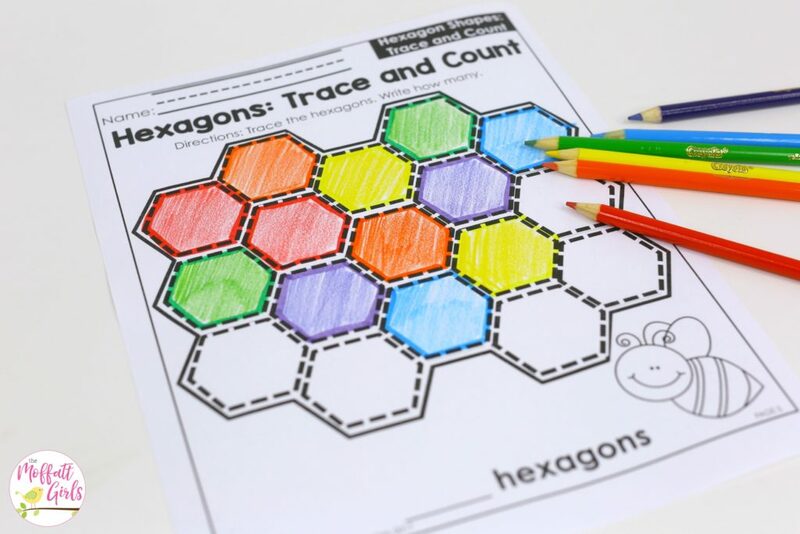 Build 4 different Hexagon Puzzles with the different colored puzzle pieces. 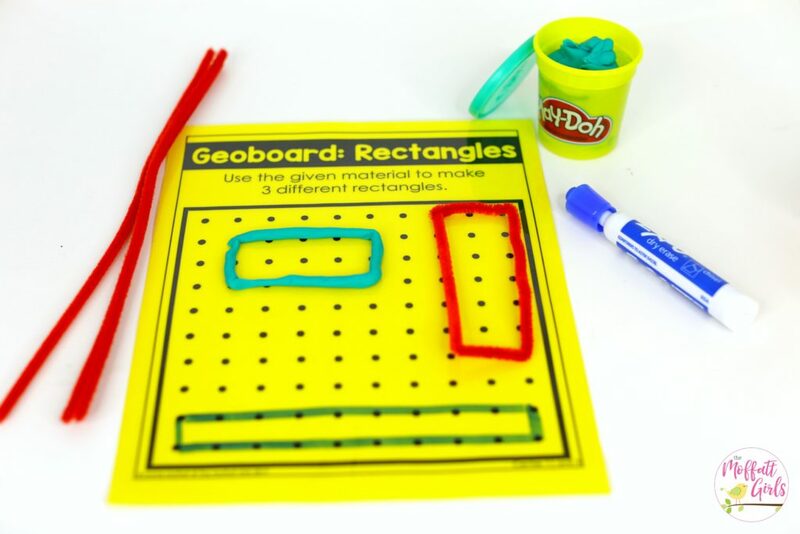 To begin, create shapes on the Geoboards with the given materials (pipe cleaners, wikki stix, play dough, etc). 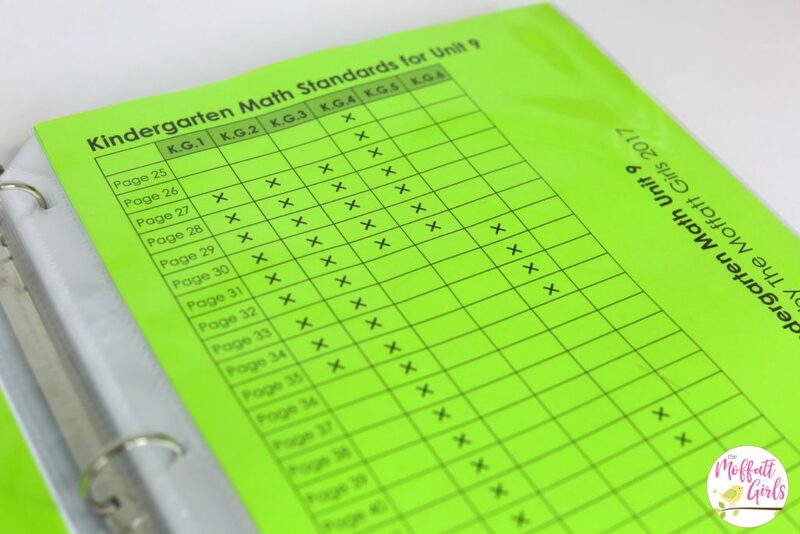 Then record your answers on the recording sheets. 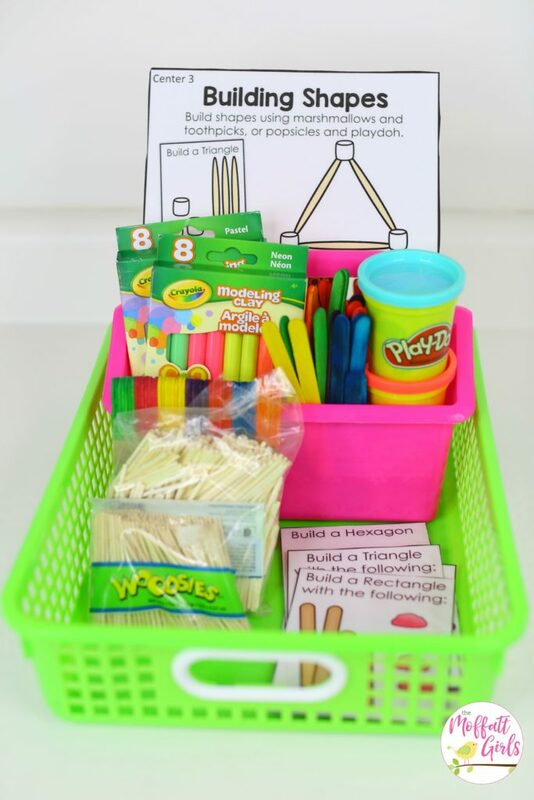 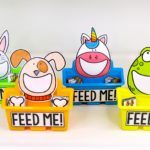 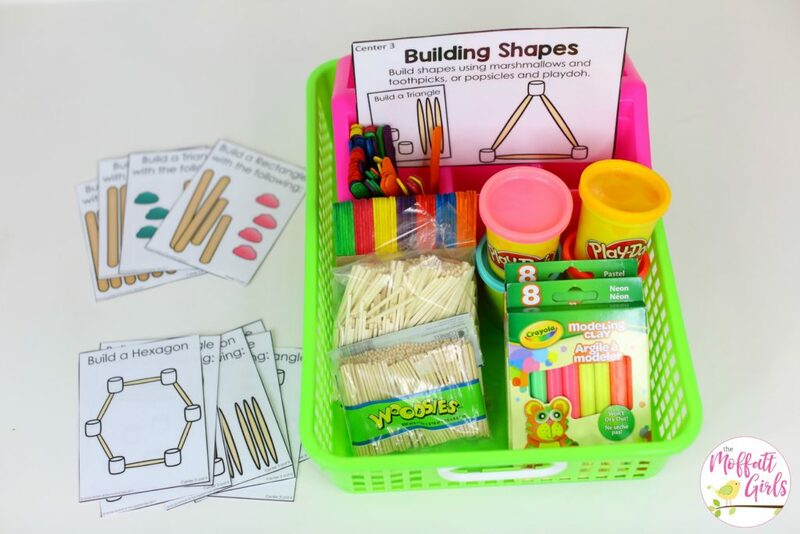 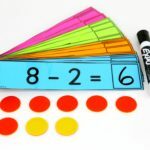 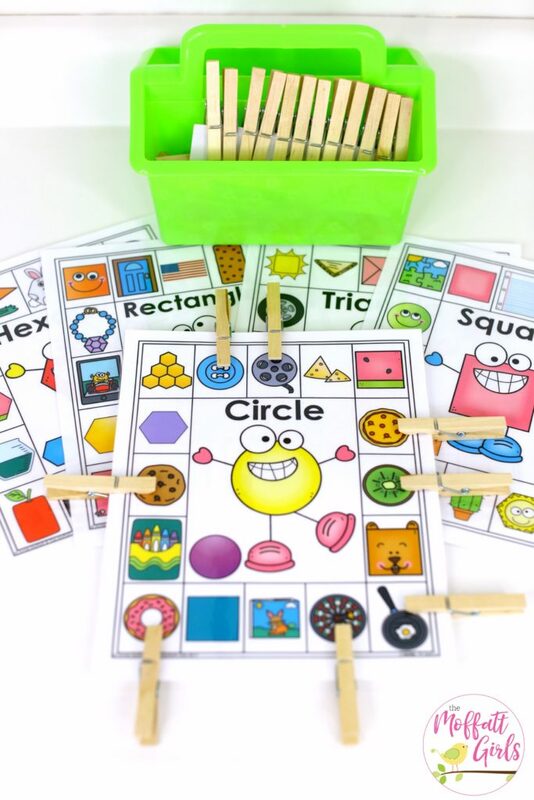 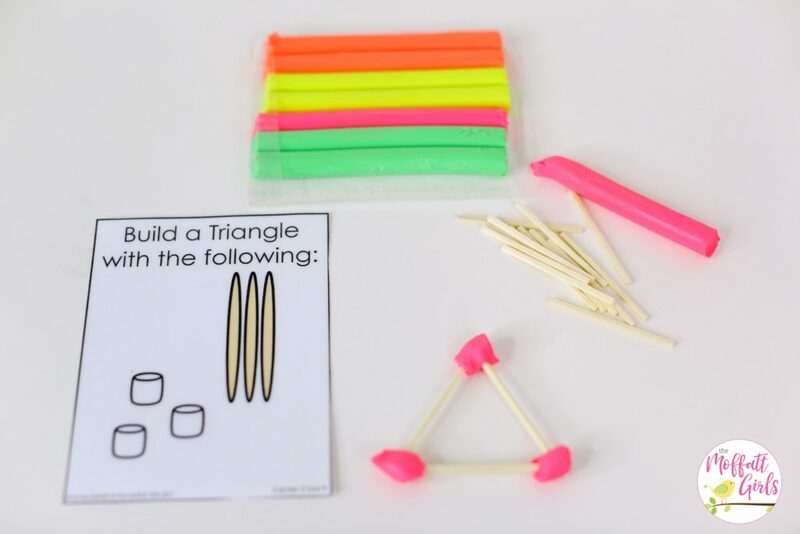 For this activity, you can allow students to use many different items to create the shapes, such as dry erase markers, play dough, pipe cleaners or wax sticks. 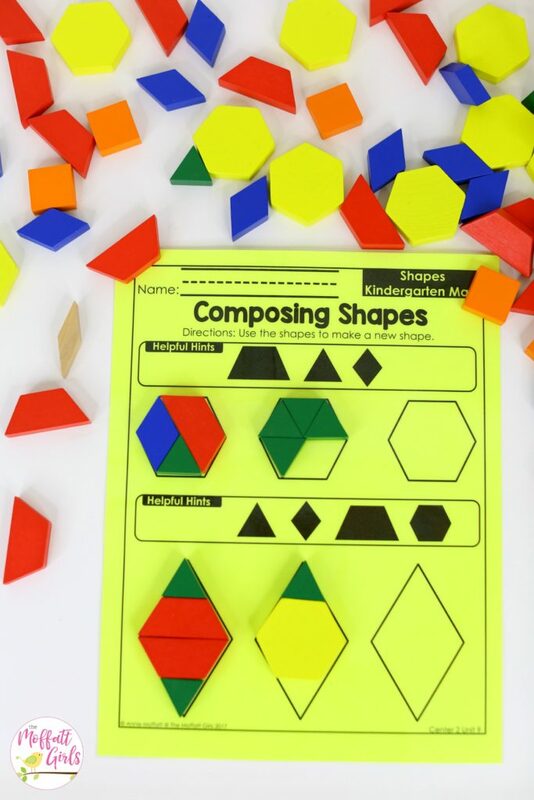 Count the sides and corners of the shapes. 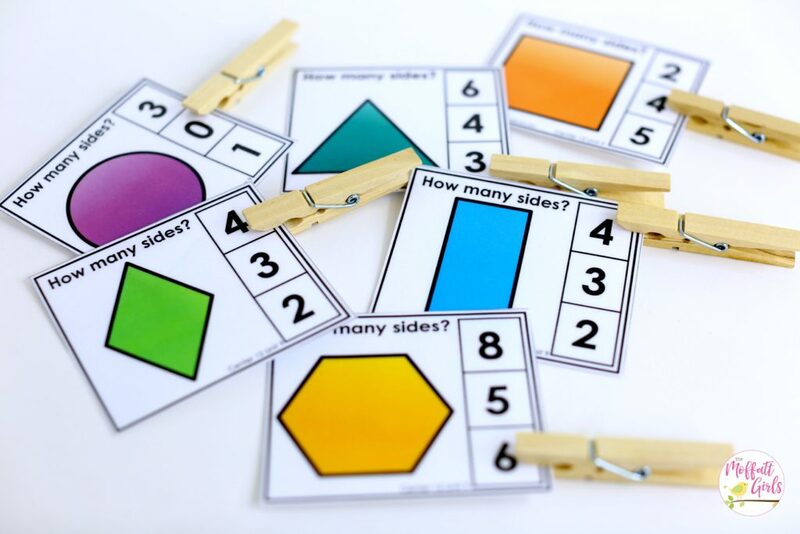 Clip the correct number to match. 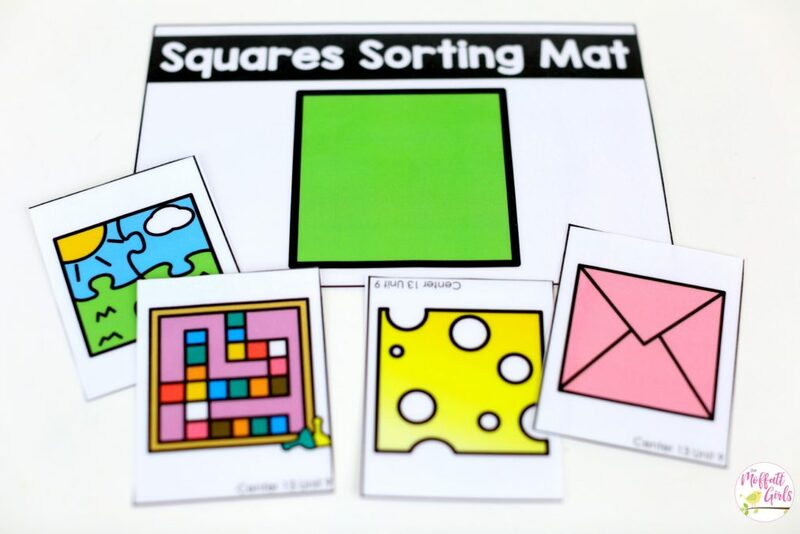 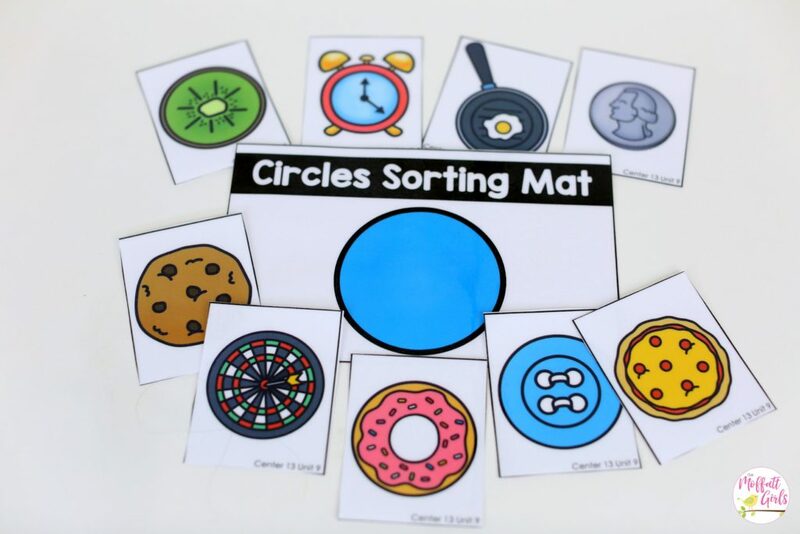 Sort the pictures to the correct shape mat: circles, squares, triangles, hexagons and rectangles. 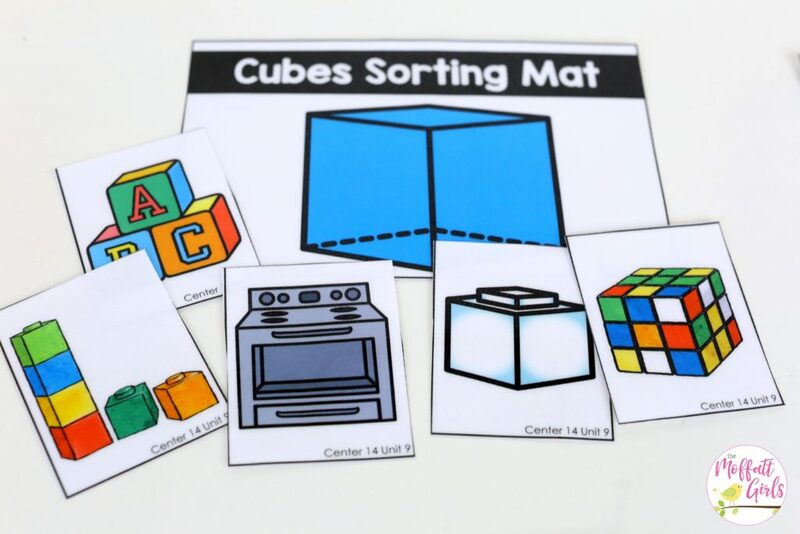 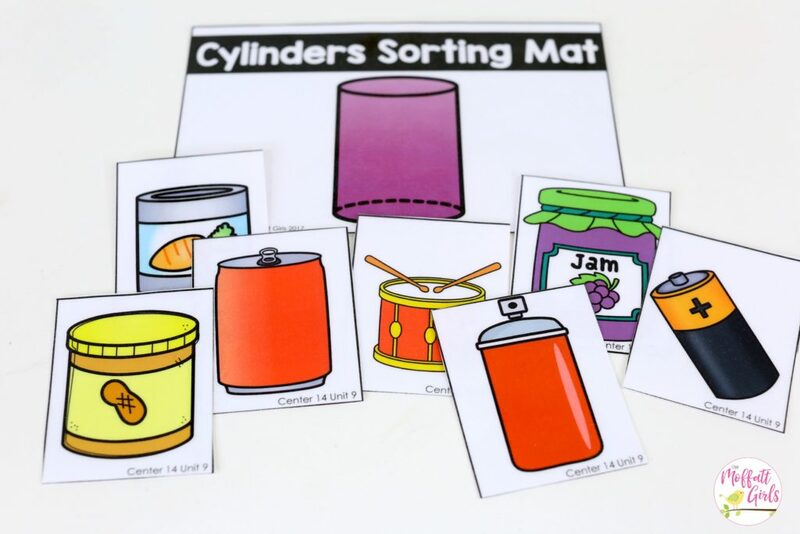 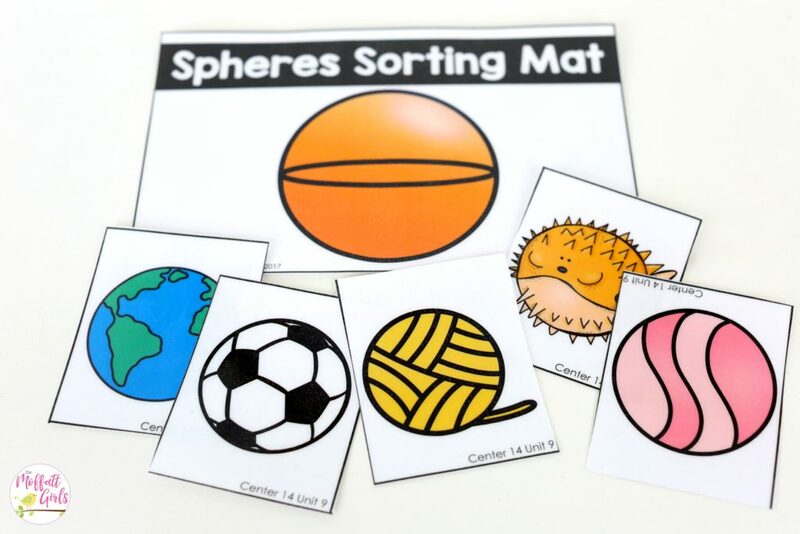 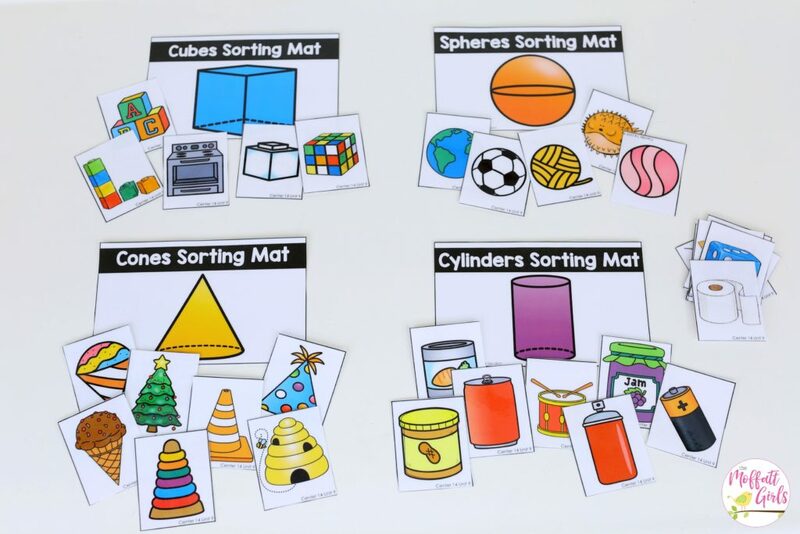 Sort the pictures to the correct shape mat: cubes, spheres, cones and cylinders. 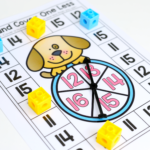 To start, spin the spinner. 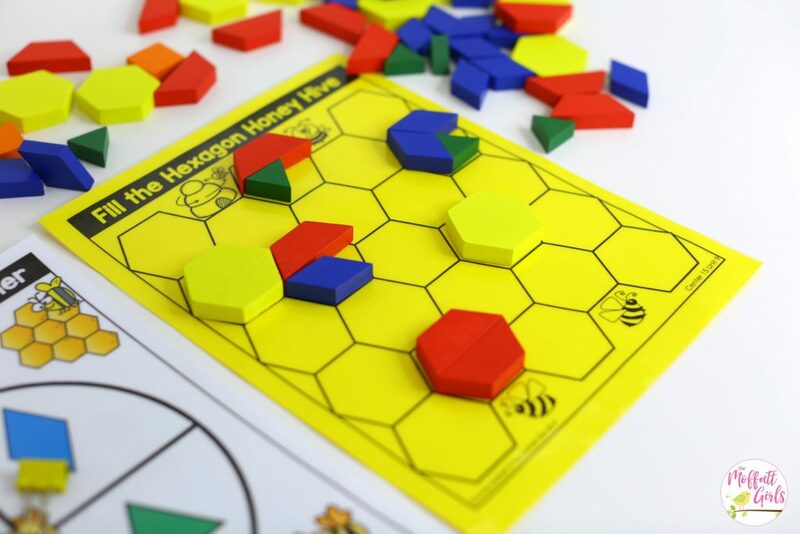 Then use pattern blocks to cover the honey hive. 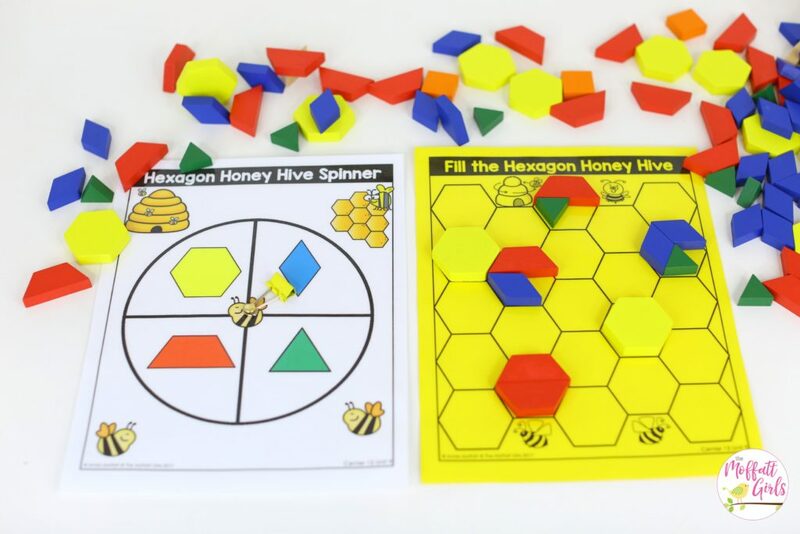 Keep spinning and playing until the hive is filled. 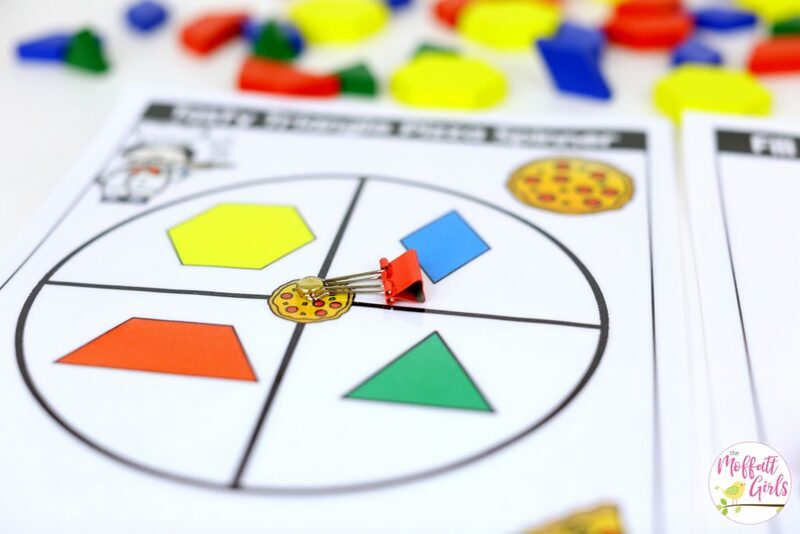 First, spin the spinner. 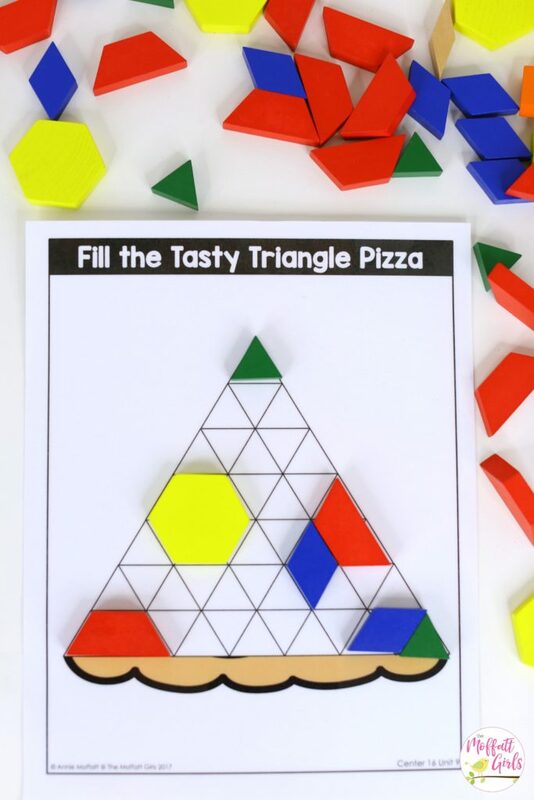 Then use pattern blocks to cover the pizza pieces and fill the board. 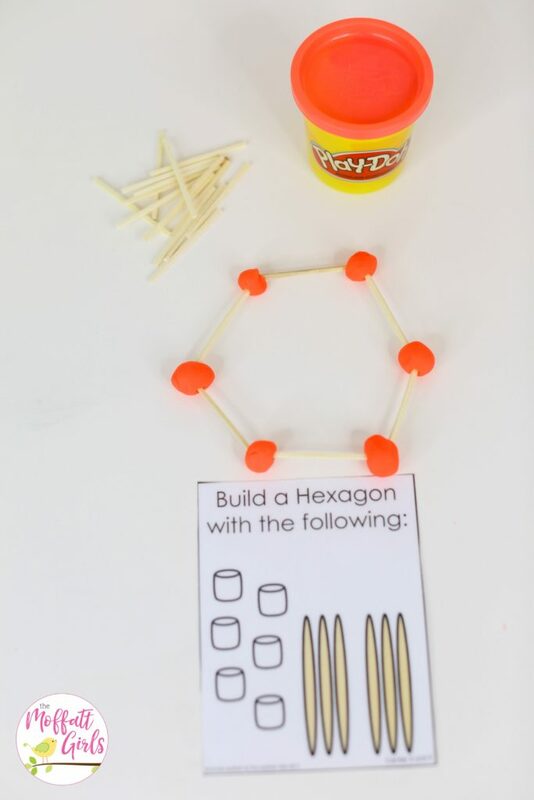 Use a brad and a binder clip to make an easy spinner! 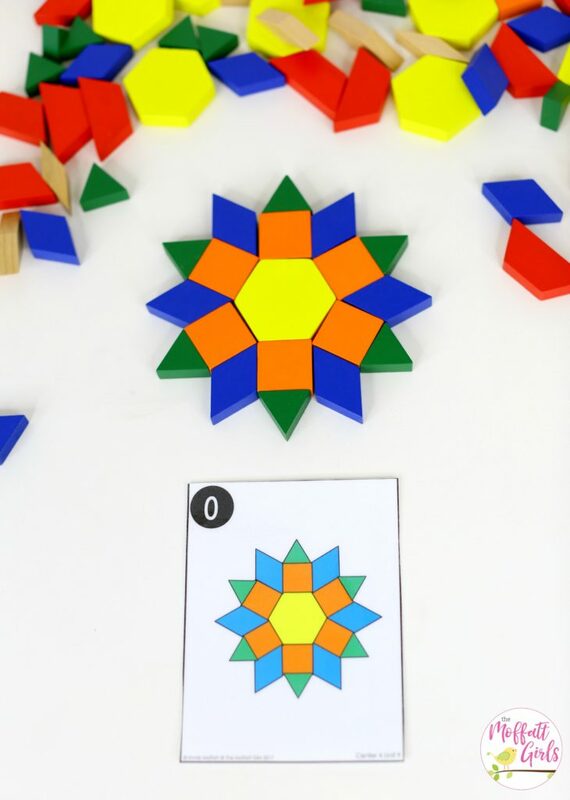 First sort the pictures to match the position of the shape. 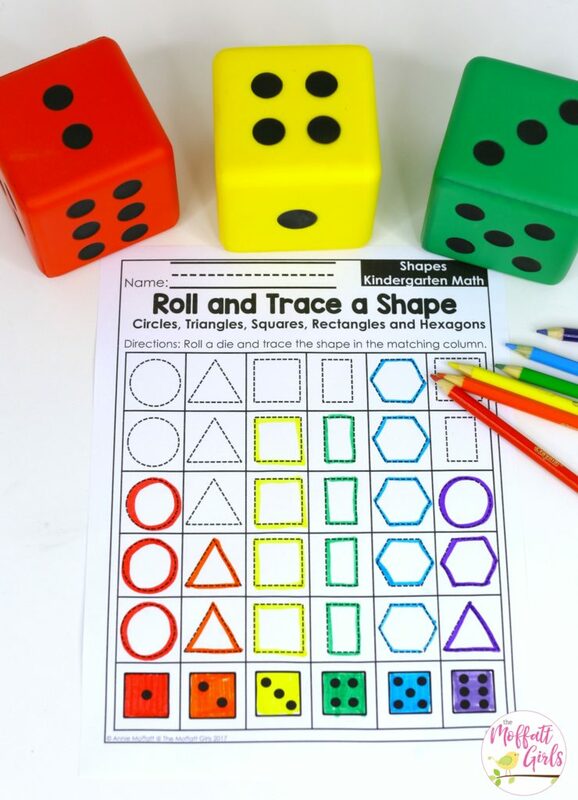 Then say the position of the shape to the object. 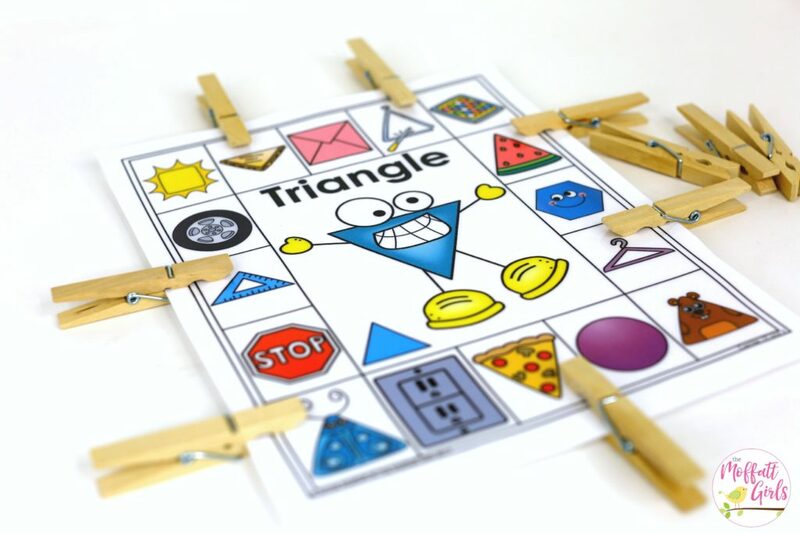 For example, the triangle is inside the wagon. 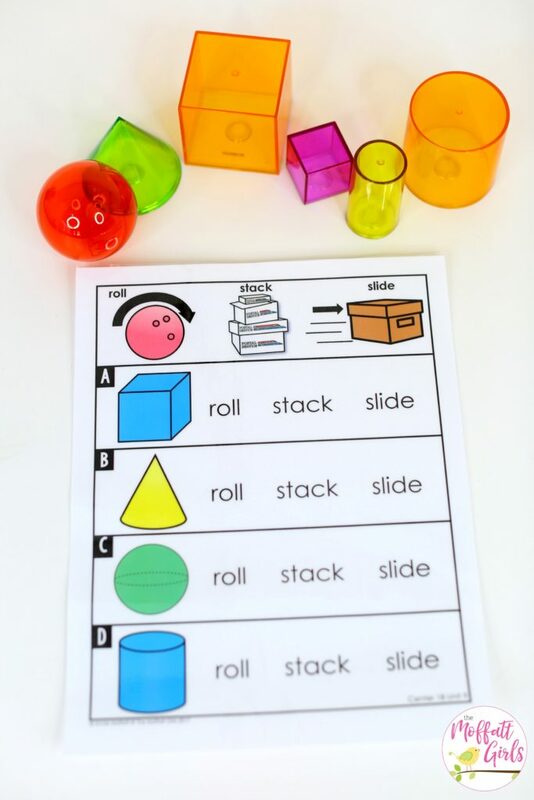 Experiment with the 3D shapes and decide if they can roll, slide and stack. 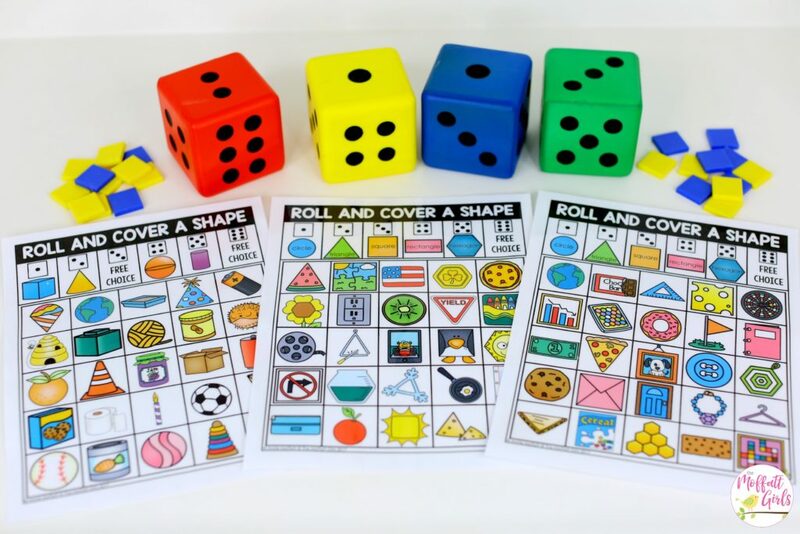 Record the answers on your recording sheet. 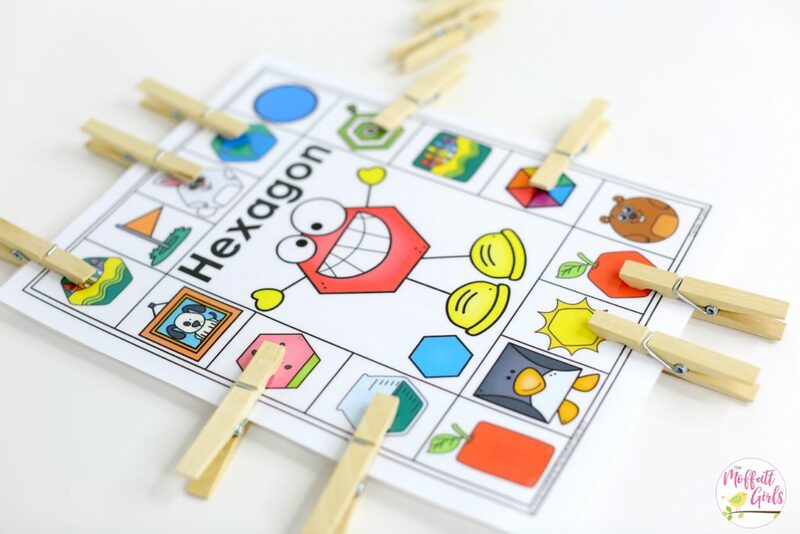 First, clip clothespins to the shapes that match. 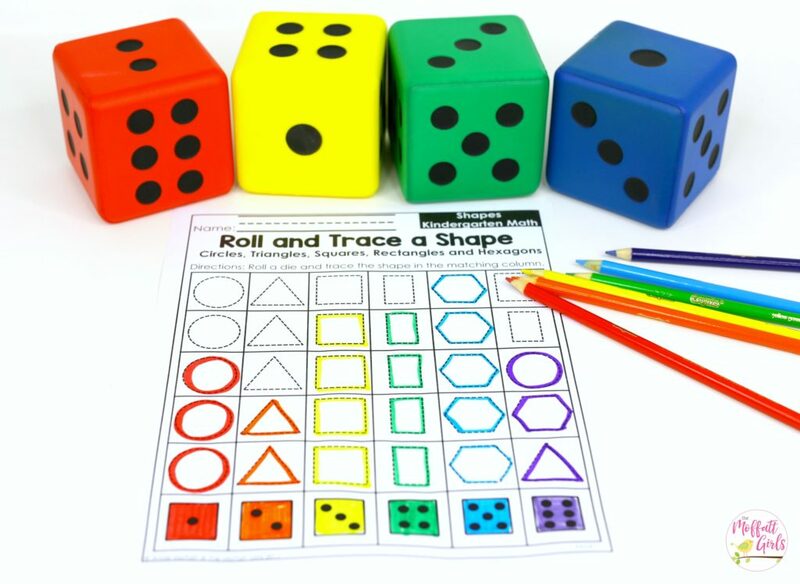 Then record the answers by coloring in the matching shape on your recording sheet. 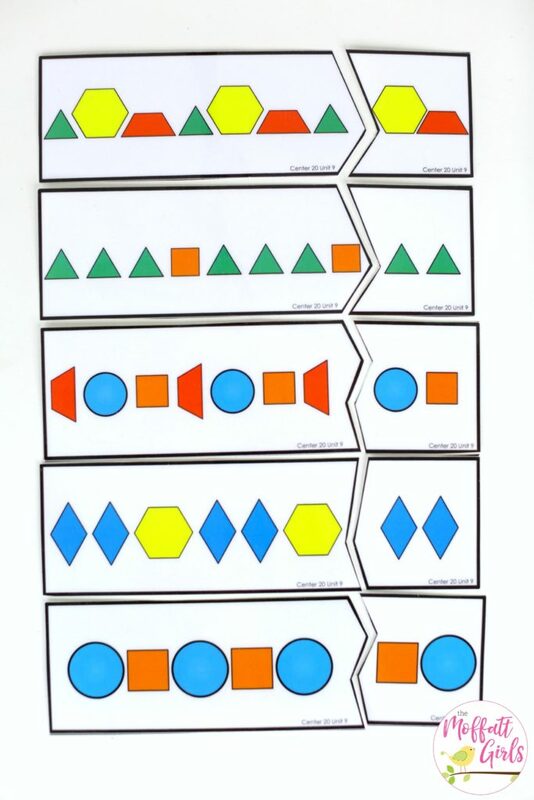 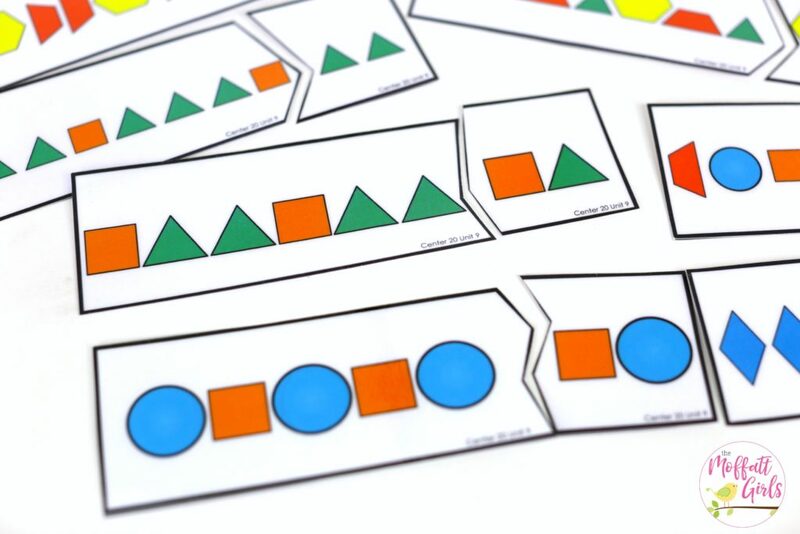 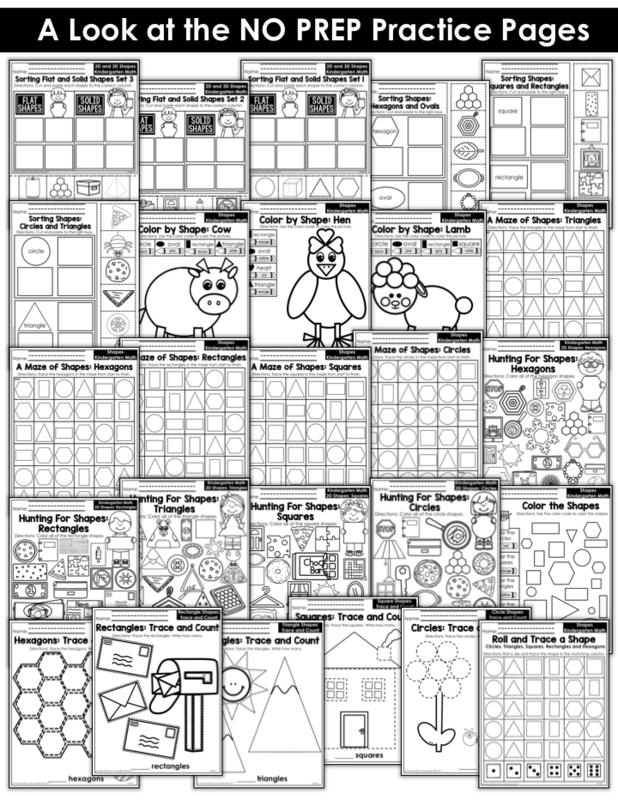 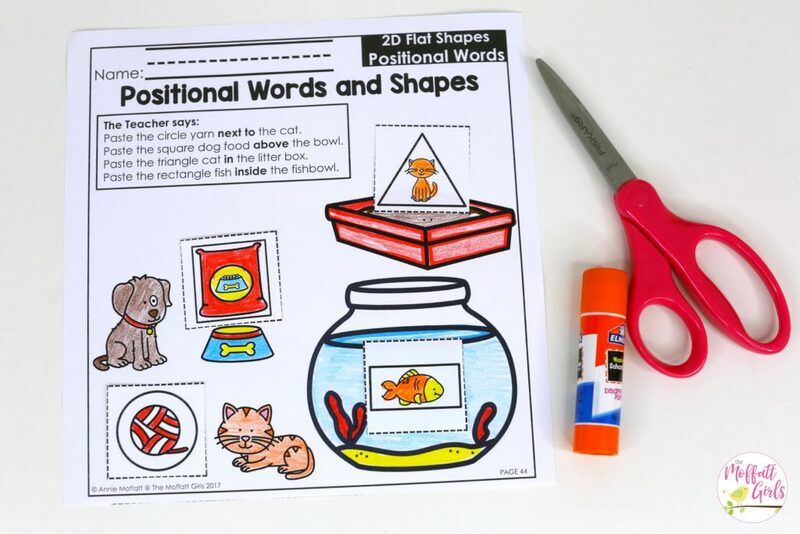 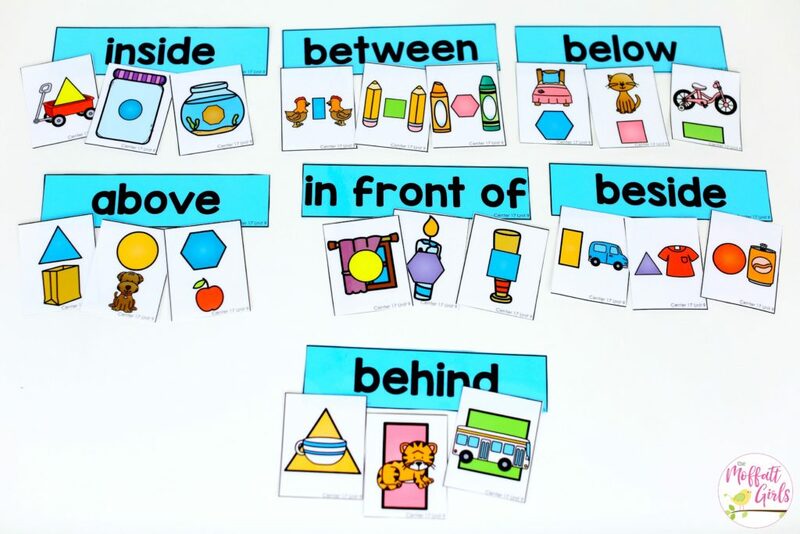 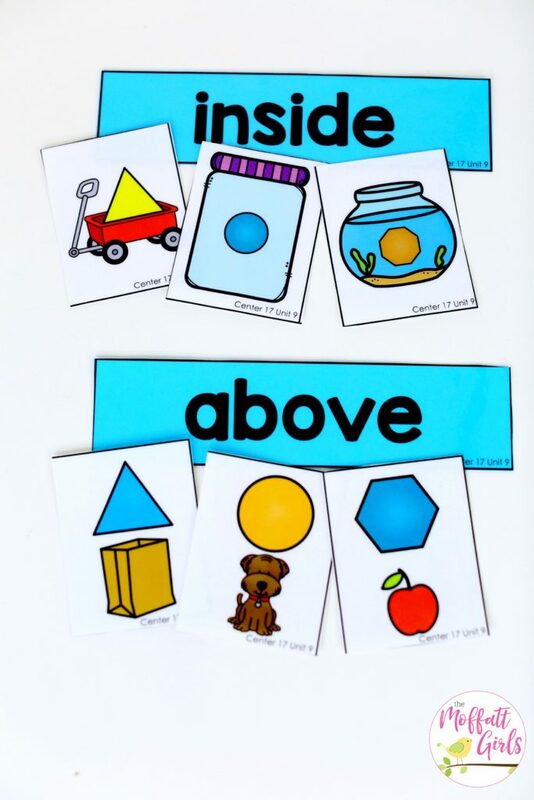 Complete the pattern puzzles by matching the shapes that come next in the pattern. 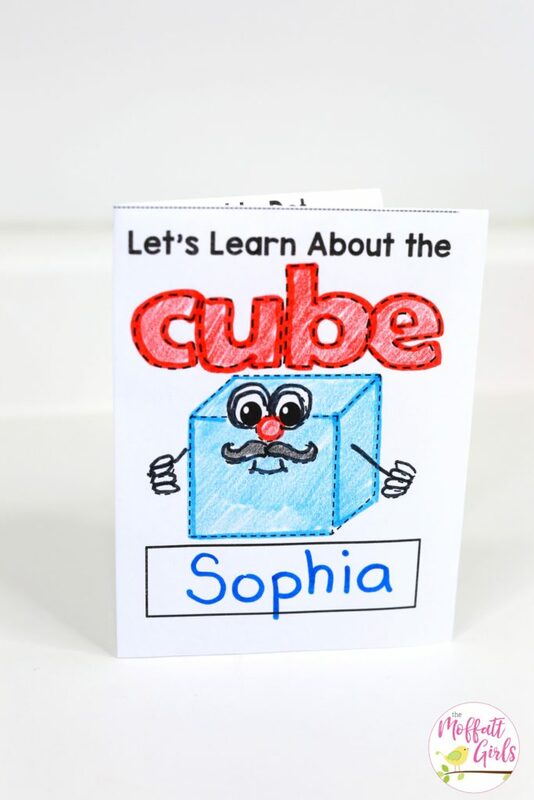 This is my favorite unit so far! 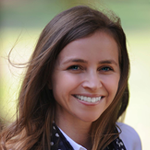 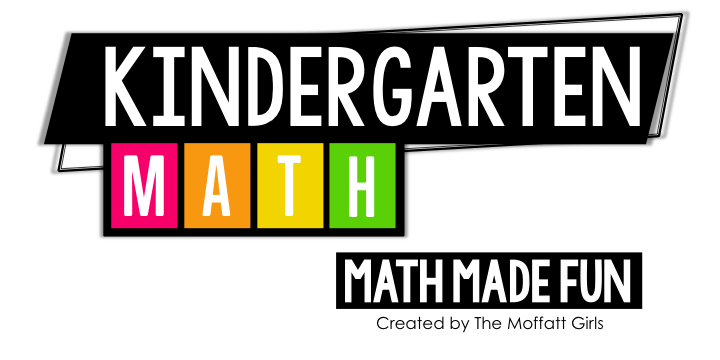 I would like to personally congratulate you as your blog Moffatt Girls has been selected by our panelist as one of the Top 100 Elementary Teacher Blogs on the web. 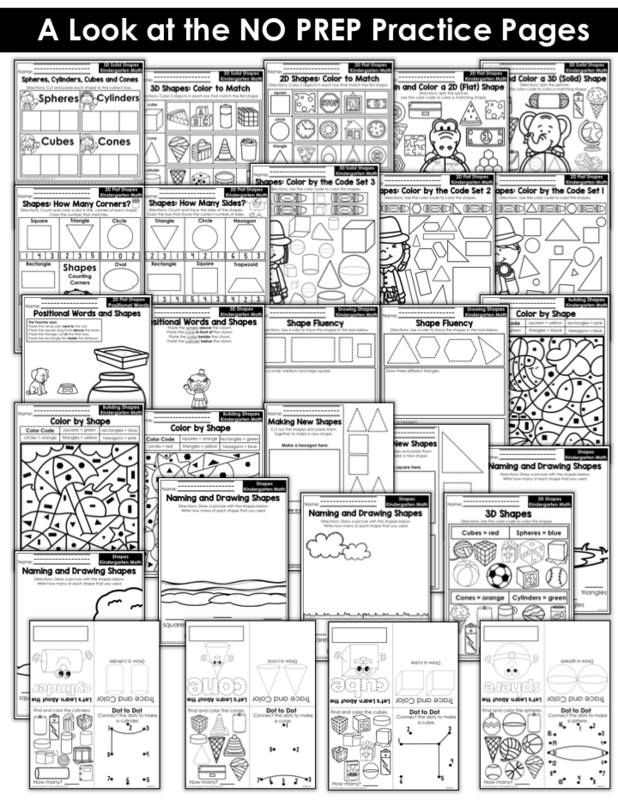 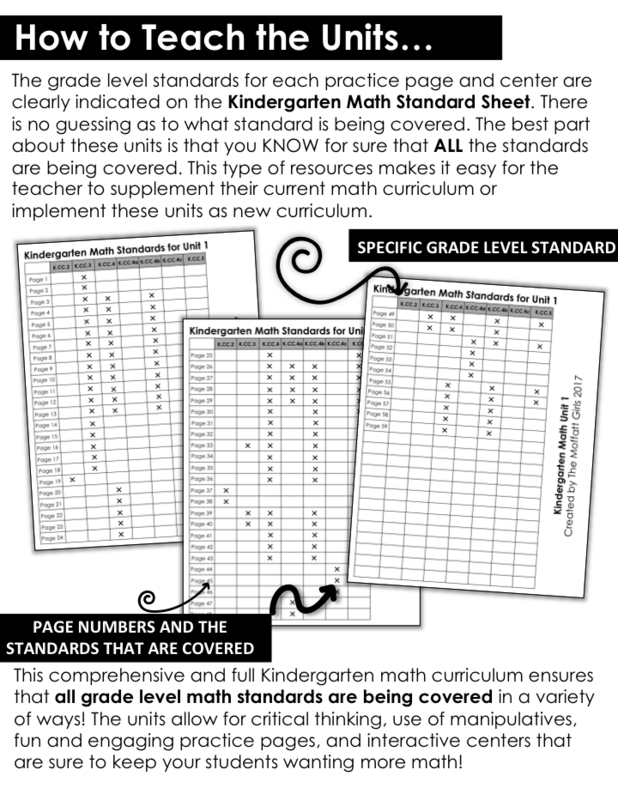 Wondering if you will be making this for first grade curriculum (Common Core)? 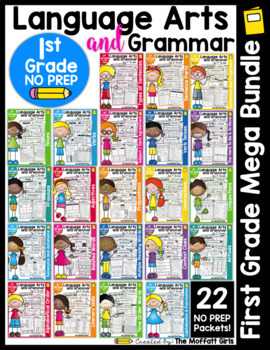 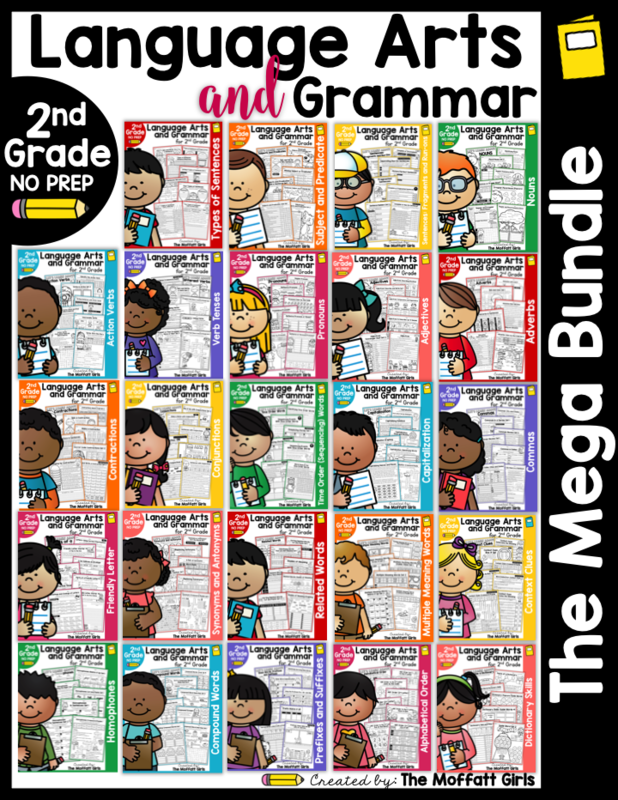 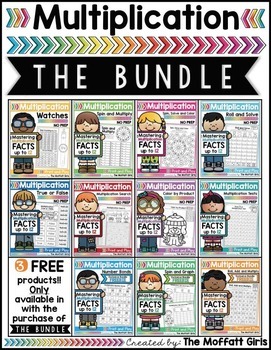 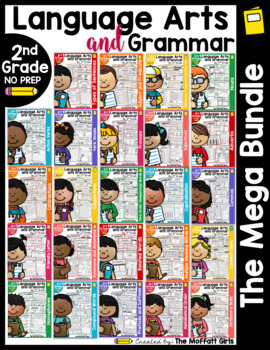 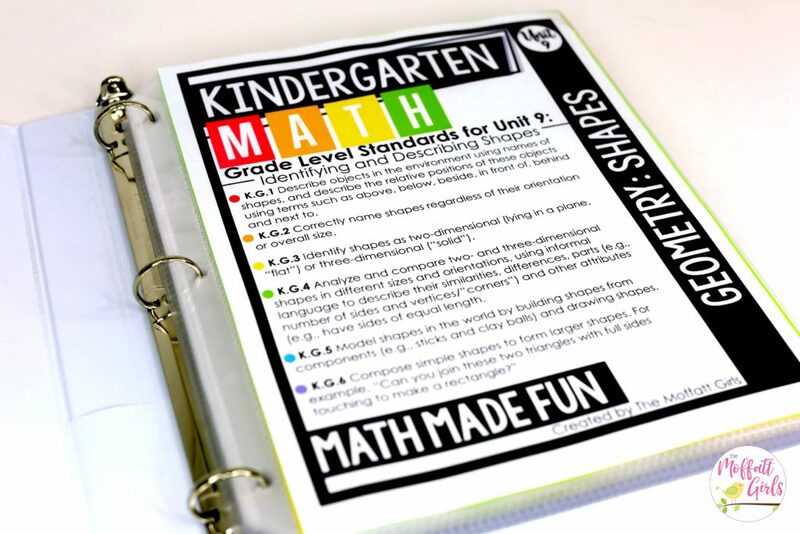 Yes, I will be starting on the 1st Grade Math Curriculum once I am finished with the Kindergarten Bundle. 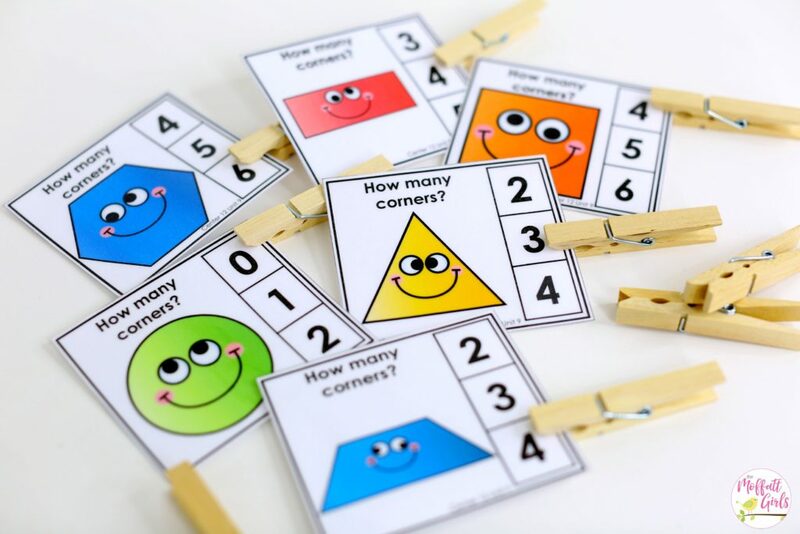 🙂 Stay tuned! 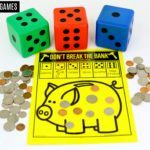 Great helpful post for all of us trying to save. 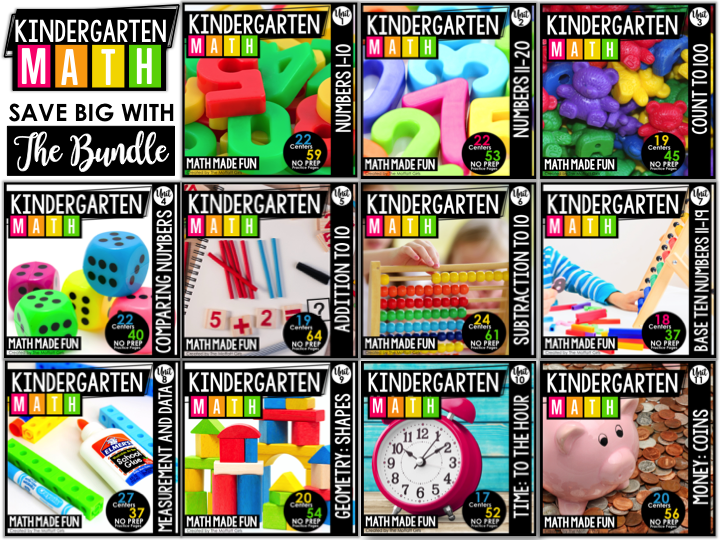 The kindergarten math curriculum looks super fun and my kids would love it. 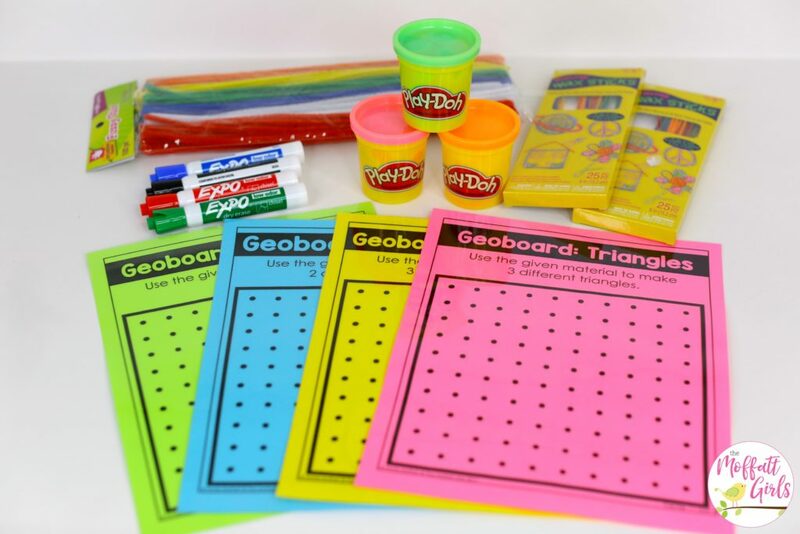 Thank you for the fantastic giveaway. 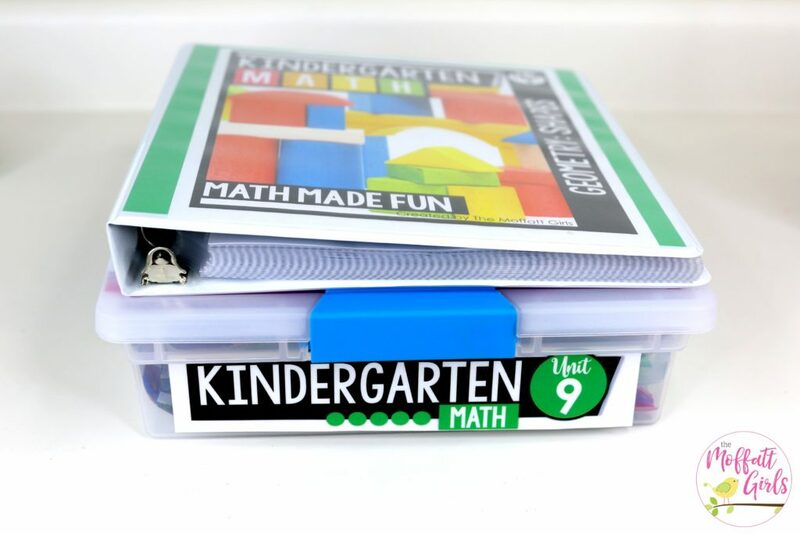 I love your kinder math units.. 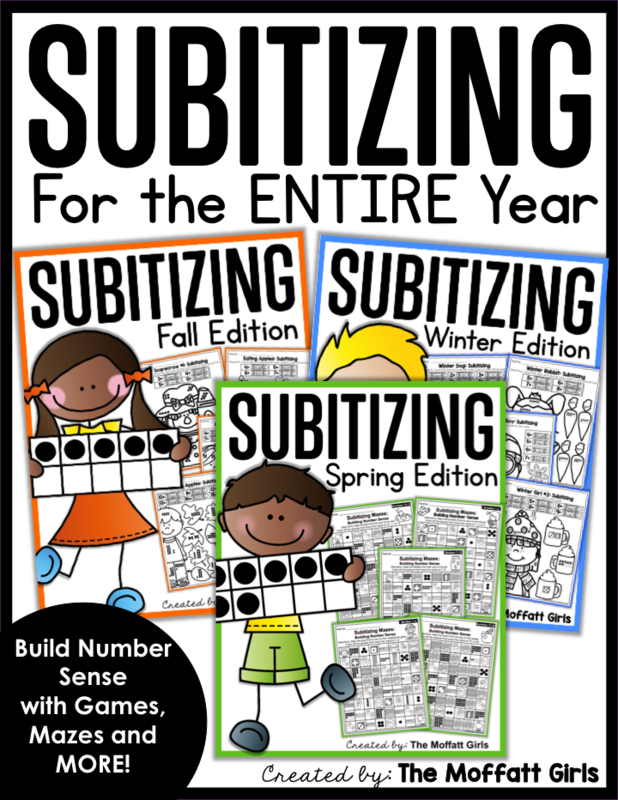 I so wish it was available in Spanish! 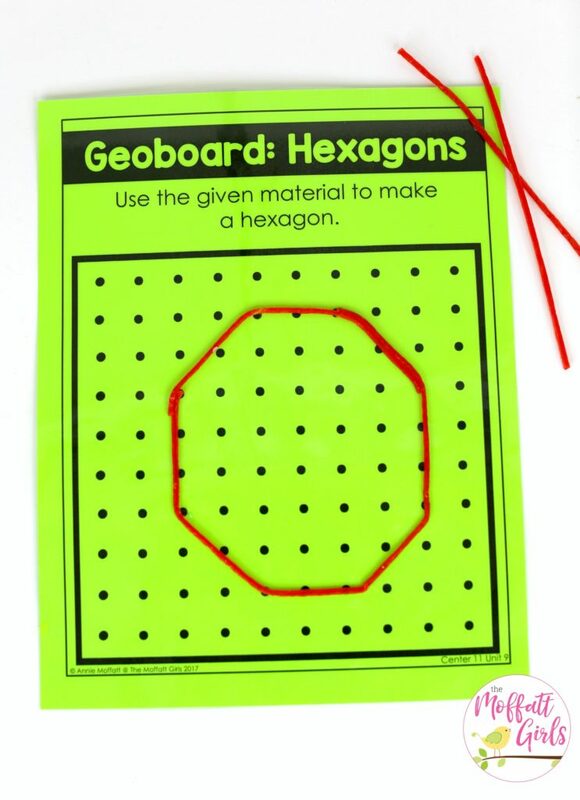 Please consider it. 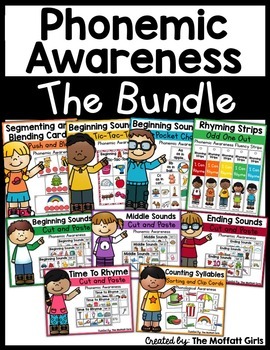 It would benefit so many of us in the dual language program around the country! 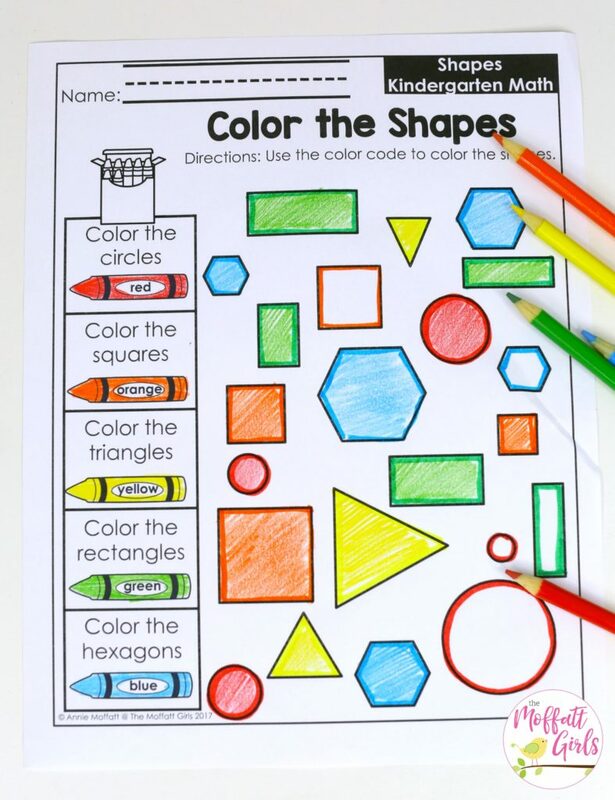 Thank you for your kind comment and for the suggestion. 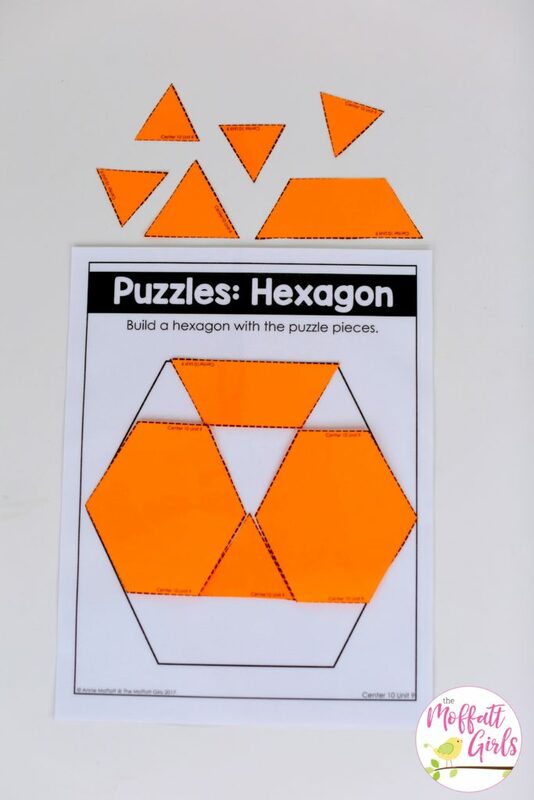 I will consider it.